Green economy and sustainable development. Pollution to Solution and development of renewable energy in sustainable ground. Application of Microwaves in Civil Engineering. Development of Nomograph for Material Testing by Microwaves. Probably, I am the first researcher in the world, who applied Microwaves in Highway and Transportation Engineering. Design of Roads and Highways. Kuala Lumpur International Airport (KLIA), Malaysia. North–South Interurban Toll Expressways (PLUS Malaysia Bhd) projects. XVI Commonwealth game at Bukit Jalil, Kuala Lumpur, Malaysia. Public Works Department (JKR) projects, Malaysia. Malaysian Highway Authority (MHA) projects. Registered with Board of Engineers Malaysia (BEM) in the year 1996 & 1997 (519F). PhD Thesis Dissertation: “Determination of Asphalt Properties using Microwave Techniques”. Master Thesis Dissertation: “Uniformity Study on Sugrade – A case study on Jalan Pintas Rawang, Kuala Lumpur, Malaysia”. Best reviewer award from Journal of Traffic and Transportation Engineering (JTTE), China, for the year 2015-2016, Chang’an University, Xi’anShaanxi, P. R. China. Member of Technical Committee of 8th Innovation, Arabia Conference in the Hamdan Bin Mohammed Smart University, United Arab Emirates (UAE), held on February 2015 in UAE. Session Chair of GEOCON 2013, a Joint Conference of International Conference in Geotechnical and Transportation Engineering (9th GEOTROPIKA)And International Conference of Innovative Construction And Buildings (1st ICONBUILD), Persada, Johor Bahru, 28-30 October 2013. 2011 PhD in Civil Engineering (Highway and Transport Engineering), University Putra Malaysia (UPM), Malaysia. 2006 M.Sc. Engineering (Highway and Transport Engineering), University Putra Malaysia (UPM), Malaysia. 1981 B.Sc. (Civil Engineering), Bangladesh University of Engineering & Technology (BUET), Dhaka, Bangladesh. 1974 Higher Secondary Certificate (HSC), Ananda Mohon College (Govt. ), Mymensingh, Bangladesh. 1971 Secondary School Certificate (SSC), Mymensingh Zilla School (Govt. ), Mymensingh, Bangladesh. A joint speaker with world renowned researcher/Professor Dr. Saidur rahman for a one day workshop on “High Impact Journal Publication” in the Faculty of Civil Engineering on 12 September 2017, UTM, JB, Malaysia, as a head of “PUBLICATION AS A TOOL TO CULTURE KNOWLEDGE”. Speaker on “Writing Journal papers” for Faculty of Chemical Engineering and Energy Engineering, FCEE), on 12 June 2017, University Technology Malaysia. Speaker on “Writing review paper” for Soft Soil Engineering Research Group (SSRG), Faculty of Civil Engineering (FKA), on 20 December 2016, FKA, University Technology Malaysia. Given a talk on Publication as the ‘Chairman of Faculty Task Force’ under the programme of ‘PUBLICATION AS A TOOL TO CULTURE KNOWLEDGE’ as the 5th invited speaker on 3rd June 2015. This is a forum for invited speakers from all around the world. Speaker on “Sustainable warm mix asphalt pavement with partial replacement of stone Aggregates by steel slags and microwave technology”, Universiti Technologi Malaysia (UTM), 14 June 2013, Skudai, Johor, Malaysia. Speaker on “Application of Microwaves for the Characterization of Civil Engineering Materials and their Unique Electromagnetic Properties”, Universiti Technologi Malaysia (UTM), Skudai, Johor, Malaysia, on 24 October 2012. Ref. of appointment: UTM.J.22.02/10.15/4 jld.2 (11). Chairman of the Committee (International Participation) on International Conference on GEOTROPIKA 2016, held on 17-18 February 2016 in Kuala Lumpur, Malaysia: Ref. of appointment: UTM.J.22/19.11/1/29/13/(57). Prepared the curriculum for Pavement Management System (MAP 1113) for the first time in the Faculty of Civil Engineering,UTM as I have introduced this course in the University. Ebenezer Akin Oluwasola, Mohd Rosli Hainin, Md. Maniruzzaman A. Aziz*, Santokh Singh A/L. Mahinder Singh: “Effect of Aging on the Resilient Modulus of Stone Mastic Asphalt incorporating Electric Arc Furnace Steel Slag and Copper Mine Tailings” Springer, Chapter InCIEC, year 2014, pp 1199-1208, date of Publication: 12 May 2015. The 1st International Conference on Engineering Technology, and Applied Business (ICETAB 2014), on “Effect of Styrene-Butadiene Rubber on Rheological Properties of Asphalt Emulsion” by M. Naqiuddin M. Warid*, Mohd Rosli Hainin, Haryati Yaacob, Md. Maniruzzaman A. Aziz, Mohd Khairul Idham, Noor Azah Abdul Raman, Rosmawati Mamat at Polytechnic Negeri Batam, Indonesia on 4th December 2014. Azman Bin Mohamed, Md. Maniruzzaman Bin A.Aziz, Muhammad Naqiuddin Bin Mohd Warid, Mohd Khairul Idham Bin Mohd Satar, Noor Azah Binti Abdul Raman and Oluwasola, Ebenezer Akin for the invention/innovation of “Innovative Asphalt Concrete from Steel Slag and Copper Mine Tailing” held on 3-5 November 2015, organized by Research Management Centre (RMC), University Technology Malaysia (UTM), Malaysia. “Make sure you attend EUBCE 2018 in Denmark” The EUBCE, 26th European Biomass Conference and Exhibition, Copenghen, Denmark, from 14 to 18 May 2018. Invited in “World inventor award festival”, Korea, 10 December 2017, Seoul Garden Hotel, Korea. the Innovations and Advancements in Petroleum Engineering”, 28 Maxwell Road, #03-05 Red Dot Traffic, Singapore (069120). World High Technology Society (WHTS), October 16-18, 2017, Changsha, China, by College Of Information Engineering in Shanghai Maritime University, China. Invited Speaker for World congress on Petrochemistry and Chemical Engineering during June 28-30, 2018 Dubai. Valuable Presence at Pollution Control 2017, It would be our honour to meet your presence at the conference venue in London,UK, Oct 05-06, 2017. Cordially invites you to deliver a talk at the “3rd World Congress and Expo on Green Energy” Green Energy Congress 2017, September 27th to 29th, 2017 at Berlin, Germany. Invited Speaker at International Conference on Geology and Earth Sciences (Geoscience-2018 ) will be held during May 2-4, 2018 at Rome, Italy. Invited Speaker at the Global Warming 2017 conference, your article “Pollution to solution: Capture and sequestration of carbon dioxide (CO2) and its utilization as a renewable energy source for a sustainable future” is selected for the seat “3rd Annual Congress on Pollution and Global Warming,” which will be held from the October 16-18, 2017, Atlanta, USA. Invited speaker at 6th Global Conference on Materials Science and Engineering (CMSE 2017), will be held on October 24th to 27th, 2017, Beijing, China, www.cmse2017.org. Invitation for participation in the European Advanced Materials Congress 2017, Sweden, will be held on during 22 – 24 August 2017. Invited Chair/speaker in Theme 508: Biocatalysis, Catalysis and Enzymes while presenting about Biocatalysis, Catalysis and Enzymes…. will be held in Macao, China during November 13-15, 2017. Vancouver is ready to welcome you all for this Tantalizing Meeting Renewable Energy 2017, it is indeed a pleasure to invite you as a speaker and your team to the International Conference on Renewable Energy and Resources, will be held during July 24-25 2017 at Vancouver, Canada. Invited speaker at the “3rdWorld Congress and Expo on Green Energy” during September 28-29 at Berlin, Germany. Invited speaker at Geoscience-2017, the International Conference on Geology and Earth Sciences held during Nov 16-18, 2017 at Dubai, UAE. Invited speaker at EMN Meeting on Flexible Electronics to be held at Bangkok from November 12-16, 2017. Invited speaker in International Petroleum Meeting November 16-17 2017 Singapore, Theme: Fuelling the Innovations and Advancements in Petroleum Engineering. Speaker, Conference and Academic Conference Excellence (ACE) certified event 4th International Conference on Green Energy and Expo, from November 06-08, 2017 at Las Vegas, USA., Conference Theme: ‘’Renewable energy for a sustainable world’. Session Speaker under Session 703: Smart Materials Applications in Architecture and Civil Engineering, 4th Annual World Congress of Smart Materials-2018 (WCSM-2018), Osaka, Japan, will be held on 6-8 March 2018. Speaker for our upcoming 6th World Congress on Biofuels and Bioenergy. Biofuels Congress 2017 conference will be hosted in London, UKduring September 05-06, 2017. Invited Speaker for “Asian Advanced Materials Congress”, will be held on 11-16 March 2017, by the Diamond Princess Cruise Ship organised by the International Association of Advanced Materials (IAAM) with the collaboration of VBRI Press AB, Sweden. Invited speaker at the 5th International Symposium on Energy Challenges and Mechanics, which will be held on 10-14 July 2016, Inverness, Scotland. Speaker Opportunity: International Conference on Sustainable Civil Engineering, held on June 20-22, 2016, Cape Town, South Africa. Invited speaker at the 2nd Annual World Congress of Smart Materials-2016 (WCSM-2016), held during March 4th-6th, 2016, Singapore. Invited speaker at the World Scientific and Engineering Academy and Society (WSEAS 2015), held on 5th-7th September 2015, Seoul, Korea. Invited speaker at the 3rd International Symposium on Energy Challenges and Mechanics, held on 7th-9th July 2015, Aberdeen, Scotland, in the session 10: Bio-energy. 413-Invitation for GCC-2016, KINTEX, Goyang-si, South Korea. Chemistry Forum. It will be held on June 30-July 2, 2016, South Korea. Invited presenter in the “Culturing Knowledge Drive Session-V by Dr. Md. Maniruzzaman B. A. Aziz on “Publication as a tool to Culture Knowledge” at Faculty of Civil Engineering, University Technology Malaysia (UTM), Malaysia, June 2015. Invited speaker at the World Scientific and Engineering Academy and Society, WSEAS, held on 23rd – 25th April 2015, Kuala Lumpur, Malaysia. at location: ESCP Europe’s London Campus. 413-Cordial Invitation from Green Chemistry Forum, speech at Session 502: Bio- materials in this event in the 8th “Annual Global Congress of Catalysis 2017(GCC-2017) will be held at October 20-22 in Shanghai, China”. Invitation for a seminar on “Green technology to ensure the success of sustainable development”, SNPPT 2017, Faculty of Engineering, Mercu Buana University, will be held on 4th of February, 2017, Jakarta, Indonesia. “International conference on Petrochemical Engineering” 2017, Gavin Conferences, 5911 Oak Ridge Way, Lisle, IL 60532, USA, Tel: +16303970234, petrochemical@gavinconferences.net, July 10-12, 2017 at Dubai, UAE. 8th World Gene Convention-2017, Macao, China during November 13-15, 2017. We would like to welcome you to be the chair/speaker in Theme 902: Agriculture, Food and Plant Biotechnology while presenting about Pollution to solution: Capture and sequestration of carbon dioxide (CO2) and its utilization as a renewable energy source for a sustainable future. 3128-Cordial Invitation from 5th World Congress of Agriculture 2017(WCA-2017), China. Warm Welcome You to Participate in GCKE-2017, Qingdao, China -Symposium 6: Smart Cities & Urban of GCKE-2017, which will be held in Qingdao, China during September 19-21, 2017. Presentation opportunity in the World Summit on the Thin Films & Coating Materials Technology – 2017, during 22 – 24 August 2017, Stockholm, Sweden. Advanced Materials Congress, “European Advanced Materials Congress, 22 – 24 August 2017, Sweden and “Advanced Materials World Congress, 05 – 08 February 2018, Singapore organised by International Association of Advanced Materials (www.iaamonline.org), Sweden. sponsored by Yunnan Normal University. held in Kunming, Southwest China from September 22nd to 25th, .2017. Invited speaker at the “3rd World Congress and Expo on Green Energy” during September 28-29 at Berlin, Germany. Chair/speaker in Theme 509: Catalysis, Biocatalysis, Enzymes, the 8th World Gene Convention-2017, Macao, China, November 13-15, 2017. 1. Farahiyah Abdul Rahman, Md Maniruzzaman A. Aziz*, R. Saidur, Wan Azelee Wan Abu Bakar, M R Hainin, Ramadhansyah Putrajaya, Norhidayah Abdul Hassan, “Pollution to Solution: Capture and Sequestration of Carbon Dioxide (CO2) and its Utilization as a Renewable Energy Source for a Sustainable Future” Journal of Renewable & Sustainable Energy Reviews (IF 9.122, Q1), Volume 71, January 2017, Pages 112–126. 2. Ebenezer Akin Oluwasola, Mohd Rosli Hainin and Md. Maniruzzaman A. Aziz, “Comparative Evaluation of Dense-Graded and Gap-Graded Asphalt Mix Incorporating Electric Arc Furnace Steel Slag and Copper Mine Tailings” Journal of Cleaner Production (IF 4.959, Q1), Volume 122, 20 May 2016, Pages 315–325 . Journal of Cleaner Production. 3. Ebenezer Akin Oluwasola, Mohd Rosli Hainin, Md. Maniruzzaman A. Aziz and M. Naqiuddin M. Warid. “Volumetric Properties and Leaching Effect of Asphalt Mixes with Electric Arc Furnace Steel Slag and Copper Mine Tailings”. Sains Malaysiana, (IF=0.446, Q3), Volume 45, Issue 2, 2016, Pages 279–287 (ISI and Scopus Indexed). 4. Md. Maniruzzaman A Aziz*, Md Tareq Rahman, M. R. Hainin, Wan Azelee Wan Abu Bakar, “An Overview on Alternative Binders for Flexible Pavement” Construction and Building Materials, 2015, (IF=2.265, Q1), Volume: 84, issue: 1, Pages 315-319, ISSN: 0950-0618. 5. M.A.Kibria, R.Saidur , F.A. Al-Sulaiman, Md. Maniruzzaman A. Aziz. “Development of a thermal model for a hybrid photovoltaic module and phase change materials storage integrated in buildings” Solar Energy, 2015, (IF=3.469, Q1), Volume: 124 (2016), Pages 114-123. 6. Ebenezer Akin Oluwasola, Mohd Rosli Hainin and Md. Maniruzzaman A. Aziz (2015). “Evaluation of rutting potential and skid resistance of hot mix asphalt incorporating electric arc furnace steel slag and copper mine tailings” Indian Journal of Engineering and Materials Sciences, 2015, (IF=0.413, Q4), Volume: 22, Issue 5, Pages 550-558, ISSN: 0971-4588. 7. Norhidayah Abdul Hassan, Gordon D. Airey, Nur Izzi Md. Yusoff, Mohd Rosli Hainin, Ramadhansyah Putrajaya, Mohd Ezree Abdullah, Md. Maniruzzaman A. Aziz “Microstructural characterisation of dry mixed rubberised asphalt mixtures” Construction and Building Materials, (2015), (IF=2.265, Q1), Volume: 82, Pages 173-183, ISSN: 0950-0618. 8. M. M. A. Aziz*, M. R. Hainin, H. Yaacob, S. M. Feizabadi, M. Shokr, and M. N. M. Warid, “Performance of warm mix asphalt in highway industry” Materials Research Innovation (MRI), 2014, (IF=0.473, Q4), Volume: 18, isue: S6, Pages 245 – 249, ISSN: 1432-8917. 9. M. M. A. Aziz*, M. R. Hainin, H. Yaacob, Z. Ali, F.-L. Chang and A. M. Adnan, “Characterisation and utilisation of steel slag for the construction of roads and highways” Materials Research Innovation (MRI), 2014, (IF 0.473, Q4), Volume: 18, issue: S6, Pages 255 – 259, ISSN: 1432-8917. 10. E.A.Oluwasola, M. R. Hainin, M. M. A. Aziz*, H. Yaacob and M. N. M. Warid, “Potentials of steel slag and copper mine tailings as construction materials” Materials Research Innovation (MRI), 2014, (IF=0.473, Q4), Volume 18, issue S6, Pages 250 – 254, ISSN: 1432-8917. 11. M. N. M. Warid*, M. R. Hainin, H. Yaacob, M. M. A. Aziz and M. K. Idham “Thin Cold-Mix Stone Mastic Asphalt Pavement Overlay for Roads and Highways” Materials Research Innovation (MRI), (IF=0.473, Q4), Volume: 18, issue: S6, Dec 2014, Pages 303 – 306, ISSN: 1432-8917. Paper Mill Effluent Treatment”, 2015, Sains Malaysiana, (IF=0.480, Q3), Volume: 44, issue: 1, Pages 101 – 106, ISSN: 0126-6039. Khairul Hafiz Bin Mustafa, “A Brief Review On Crack Relief Layer in Airport Runway”, Vol 78, No. 7–2, July, 2016, pages 41–48, www.jurnalteknologi.utm.my, eISSN 2180–3722, Journal Technology (Highway and Transportation Engineering). 16. Khairul Hafiz Bin Mustafa, Md. Maniruzzaman A. Aziz*, Mohd Rosli Hainin, Ashraf Bin Ahmad Zaini, M. Naqiuddin M. Warid, “A Brief Review on Crack Relief Layer (CRL) in Roads and Highways”, Vol 78, No. 7–3, July, 2016, pages 45-52, www.jurnalteknologi.utm.my, eISSN 2180–3722 Journal Technology (Highway and Transportation Engineering). 17. Zohair Ahmed Altieb, Md. Maniruzzaman A. Aziz*, Khairul Anuar Bin Kassim, Hauwa Baffa Jibrin, “A Short Review on Partial Replacement of Asphalt Binder with Crumb Rubber”, Vol 78, No. 7–3, July, 2016, pages 29-36, www.jurnalteknologi.utm.my, eISSN 2180–3722, Highway and Transportation Engineering. 18. Ebenezer Akin Oluwasola, Mohd Rosli Hainin*, Md. Maniruzzaman A. Aziz, “Effect of Moisture Damage on Gap-Graded Asphalt Mixture Incorporating Electric Arc Furnace Steel Slag and Copper Mine Tailings”, Vol 78, No. 7–3, July, 2016, pages 1-9, www.jurnalteknologi.utm.my, eISSN 2180–3722, Highway and Transportation Engineering. 19. Fauzan Mohd Jakarni*, Muhammad Fudhail Rosli, Nur Izzi Md Yusoff, Md. Maniruzzaman A Aziz, Ratnasamy Muniandy and Salihudin Hassim, “An Overview of Moisture Damage Performance Tests on Asphalt Mixtures”, Vol 78, No. 7–2, July, 2016, pages 91-98, www.jurnalteknologi.utm.my, eISSN 2180–3722, Highway and Transportation Engineering. 21. M. Naqiuddin M. Warid, Mohd Rosli Hainin*, Haryati Yaacob, Md. Rheological Properties of Asphalt Emulsion, 2015, Volume: 77, Issue: 23, Pages 1–5, www.jurnalteknologi.utm.my | eISSN 2180–3722. 22. Darain, K. M., Jumaat, M. Z., Nazimuddin, S. M., Ahsan, A., Rashid, R., Aziz, Md. Maniruzzaman A. Aziz, Islam, A. B. M. S. (2015). “A Review of the Corrosion Behavior of Metallic Heritage Structures and Artifacts”. Jurnal Teknologi, Volume: 77, issue: 1, Pages 205-218. (Scopus). 23. Wan Nur Aifa Wan Azahar, Mastura Bujang, Ramadhansyah Putra Jaya, Mohd. Rosli Hainin, Md. Maniruzzaman A. Aziz, Norzita Ngadi. “Application Of Nanotechnology In Asphalt Binder: A Conspectus and Overview”, 2015, Jurnal Teknologi, Volume: 76, issue: 14, Pages 85-89. www.jurnalteknologi.utm.my eISSN 2180-3722. 24. Mohd. Rosli Hainin, Md. Maniruzzaman A. Aziz*, Abbas Mukhtar Adnan, Norhidayah Abdul Hassan, Ramadhansyah Putra Jaya, Hong Y Liu, “Performance of Modified Asphalt Binder with Tire Rubber Powder” Jurnal Teknologi-Special Edition (Highway and Transportation Engineering), 2015, Volume: 73, issue: 4, Pages 55-60, eISSN 2180-3722. (SCOPUS indexed). 25. Mohd. Rosli Hainin, Md. Maniruzzaman A. Aziz*, Zulfiqar Ali, Ramadhansyah Putra Jaya, Moetaz M. El-Sergany, Haryati Yaacob, “Steel Slag as a Road Construction Material”. Jurnal Teknologi-Special Edition (Highway and Transportation Engineering), 2015, Volume: 73, issue: 4, Pages 33-38, eISSN 2180-3722. (SCOPUS indexed). 26. Mohd. Rosli Hainin, Md. Maniruzzaman A. Aziz*, Shahab Moeini Feizabadi, Ramadhansyah Putra Jaya, Norhidayah Abdul Hassan, Fauzan Mohd Jakarni, “An Overall Review: Modified Asphalt Binder Containing Sasobit in Warm-Mix Asphalt Technology” Jurnal Teknologi-Special Edition (Highway and Transportation Engineering), 2015, Volume: 73, issue: 4, Pages 1-6, eISSN 2180-3722. (SCOPUS indexed). 27. Fauzan Mohd Jakarni,* Nur Izzi Md Yusoff, Jiantao Wu, Md. Maniruzzaman A Aziz, “Utilization of Sewage Sludge Molten Slag as Aggregate Substitute in Asphalt Mixtures”, Jurnal Teknologi-Special Edition (Highway and Transportation Engineering), 2015, Volume: 73, issue: 4, Pages 105-110, eISSN 2180-3722. (SCOPUS indexed). 28. Nadhir Ahmad Tarmuzi, Ramadhansyah Putra Jaya*, Haryati Yaacob, Norhidayah Abdul Hassan, Md. Maniruzzaman A Aziz, “Aggregate Angularity Effect on Porous Asphalt Engineering Properties and Performance” Jurnal Teknologi-Special Edition (Highway and Transportation Engineering), 2015, Volume: 73, Issue: 4, March 2015, Pages 99-104, eISSN 2180-3722. (SCOPUS indexed). 29. Ebenezer Akin Oluwasola, Mohd Rosli Hainin, and Md. Maniruzzaman A. Aziz*, “Evaluation of Asphalt Mixtures Incorporating Electric Arc Furnace Steel Slag and Copper Mine Tailings for Road Construction” Journal of Transportation Geotechnics, 2015, Volume 2, Pages 47–55. (SCOPUS indexed). 30. Md Tareq Rahman, Md. 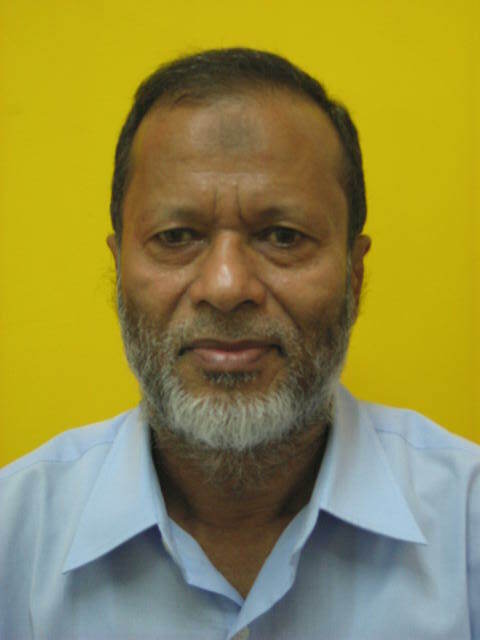 Maniruzzaman A. Aziz*, Mohd. Rosli Hainin, Wan Azelee Wan Abu Bakar, “Impact of Bitumen Binder: Bio-Based Binder for Construction of Flexible Pavement”, Jurnal Teknologi- Special Issue on Sustainability and Construction Management, 2014, Volume: 70, issue: 7, Pages 105–109, eISSN 2180 –3722. (SCOPUS indexed). 31. Mohd. Rosli Hainin, Md. Maniruzzaman A. Aziz*, Manouchehr Shokri, Ramadhansyah Putra Jaya, Norhidayah Abdul Hassa, Amimul Ahsan, “Performance of Steel Slag in Highway Surface Course”, Jurnal Teknologi-Special Edition (Highway and Transportation Engineering), 2014, Volume: 71, issue: 3, Pages 99–102, eISSN 2180–3722. (SCOPUS indexed). 32. Ebenezer Akin Oluwasola, Mohd Rosli Hainin, Md. Maniruzzaman A. Aziz, “Characteristics and Utilization of Steel Slag in Road Construction” Special Issue on Sustainability and Construction Management, 2014, Volume: 70, issue :7, Pages 117–123, eISSN 2180 –3722. (SCOPUS indexed). 33. Norhidayah Abdul Hassan*, Gordon D. Airey, Ramadhansyah Putra Jaya, Nordiana Mashros, Md. Maniruzzaman A. Aziz, “A review of crumb rubber modification in dry mixed rubberized asphalt mixtures” Jurnal Teknologi (Science & Engineering), 2014, Volume: 70, issue :4, Pages 127–134. (SCOPUS indexed). 34. Dewi Sri Jayanti, Ramadhansyah Putra Jaya, Norhidayah Abdul Hasan, Md. Maniruzzaman A. Aziz, Mohd. Rosli Hainin, “Performance of RHA blended cement concrete under sodium chloride via wetting and drying” Applied Mechanics and Material, 2014, Pages 106-110. (SCOPUS indexed). 35. Dewi Sri Jayanti, Ramadhansyah Putra Jaya, Norhidayah Abdul Hasan, Md. Maniruzzaman A. Aziz, Mohd. Rosli Hainin and Mohd Haziman Wan Ibrahim, “Effect of rice husk fineness on the properties of concrete” Applied Mechanics and Materials, 2014, Pages 203-207. (SCOPUS indexed). 36. Nurulain Che Mat, Ramadhansyah Putra Jaya*, Norhidayah Abdul Hassan, Hasanan Md Nor, Md. Maniruzzaman A. Aziz, Che Norazman Che Wan, “Properties of Asphaltic Concrete Containing Sasobit®”, Jurnal Teknologi-Special Edition (Highway and Transportation Engineering), 2014, Volume: 71, issue: 3, Pages 27–31. (SCOPUS indexed). 37. Thanwa Filza Nashruddin, Ramadhansyah Putra Jaya*, Norhidayah Abdul Hassan, Hasanan Md Nor, Md. Maniruzzaman A. Aziz, Che Norazman Che Wan, “Evaluation of Binder Absorption in Asphalt Mixture with Various Aging Conditions Using Rice Method” Jurnal Teknologi-Special Edition (Highway and Transportation Engineering), 2014, Volume: 71, issue: 3, Pages 53–56.(SCOPUS). 38. Ramadhansyah Putra Jaya*, Norhidayah Abdul Hassan, Mohd Zul Hanif Mahmud, Md. Maniruzzaman A. Aziz, Meor Othman Hamzah, Che Norazman Che Wan, “Effect of Aggregate Shape on the Properties of Asphaltic Concrete AC14” Jurnal Teknologi-Special Edition (Highway and Transportation Engineering), 2014, Volume: 71, issue:3, Pages 69–73. (SCOPUS indexed). 39. Gizing Sami Hamad, Ramadhansyah Putra Jaya*, Norhidayah Abdul Hassan, Md. Maniruzzaman A. Aziz, Mohd Ibrahim Mohd Yusak, “Influences of Crumb Rubber Sizes on Hot Mix Asphalt Mixture” Jurnal Teknologi-Special Edition (Highway and Transportation Engineering), 2014, Volume: 71, issue :3, Pages 63–68. (SCOPUS indexed). Haryati Yaacob, Mohd. Rosli Hainin, Md. Maniruzzaman A. Aziz, Naqiuddin M. Warid, Fung-Lung Chang, Che Ros Ismail, Norhidayah Abdul Hassan, “Bitumen Emulsion in Malaysia–A Conspectus, Jurnal Teknologi, 2013, Volume: 65, issue:3, Pages 97-104. (SCOPUS indexed). 41. Md. Maniruzzaman A. Aziza* , Md Tareq Rahman, Mohd. Rosli Hainin, Wan Azelee Wan Abu Bakar, “Alternative Binders for Flexible Pavement” International Integrated Engineering Summit 2014 (IIES2014), Universiti Tun Hussein Onn Malaysia (UTHM). Accepted for publication, (SCOPUS indexed). 42. Md. Maniruzzaman A. Aziz, Ramadhansyah Putra Jaya*, Norhidayah Abdul Hasan, Mohd Ibrahim Mohd Yusak, Badorul Hisham Abu Bakar and Salwa Mohd Zaini,” Use of Rice husk Ash to Improve Properties of Concrete under Sodium Chloride by Wetting and Drying” 2nd International Conference on Global Sustainability and Chemical Engineering (ICGSCE), 2014 at University Technology Mara (UiTM), Shah Alam, Kuala Lumpur , Malaysia. Published. (SCOPUS indexed). 43. Md. Maniruzzaman B. A. Aziz*, Ratnasamy Muniandy, Khazani Abdullah, Ahmad Rodzi Mahmud, Kaida Khalid, Alyani Ismail, “Preliminary determination of asphalt rheological properties by microwave techniques” Journal of Engineering and Applied Science, 2010, Volume: 5, Issue: 11, Pages 70-81. ISSN 1819 -6608. 1 Jinhai Gao, H. Y. Liu*, Mingjian Zhang, M. M. A. Aziz, “Failure Process and Support Method of Roadways Excavated in Inclined Rockmass Strata” Civil Engineering and Architecture, 2014, Volume: 2, Issue: 8, Pages 304-312. (Indexed by the Library of U.S Congress), ISSN: 1934-7359. 2 Md. Maniruzzaman A. Aziz*, Ahmed Wsoo Hamad, Abdulmalik Musa Maleka and Moetaz Elsergany, “Rheological Properties of Cellulose Oil Palm Fiber (COPF) Modified 80-100 Asphalt Binder” Journal of Advanced Research in Materials Science, 2015, Volume: 5, issue: 1, Pages 10-20. ISSN: 2289-7992. Total Conference Papers including Indexed Proceeding: 32 Nos. Haryati Binti Yaacob, Muhammad Naqiuddin Bin Mohd Warid, Mohd Khairul Idham Bin Mohd Satar, Maniruzzaman Bin A.Aziz, Ramadhansyah Putra Jaya, Norhidayah Binti Abdul Hassan, Mohd Rosli Bin Hainin, Mohamad Hasimim Rafsanjani Bin Mohd Nazir, Mohd Ezree Abdullah, “Effects of Kaolin Clay on the Mechanical Properties of Asphaltic Concrete AC14” 4th International Conference on Civil and Environmental Engineering for Sustainability, Reference: PB/2017/15659. 2017. Nurulain Bte Che’ Mat, Mohd Ezree Abdullah, Dewi Sri Jayanti, “Performance of Kaolin Clay on Hot-Mix Asphalt Properties” International Postgraduate Conference on Engineering, Science and Technology, PB/2017/15488, 2017. Farahiyah Abdul Rahman, Md. Maniruzzaman A. Aziz, R. Saidur and Wan Azelee Wan Abu Bakar, “A review of methods for estimating the gas emission for combustion analysis in industrial sector” Paper ID:123 at conference School of Environmental Engineering, Universiti Malaysia Perlis, International Conference on Civil and Environmental Engineering (CENVIRON 2017) on 28-29th November 2017 in Penang, Malaysia. Naqiuddin M. Warid, Mohd Rosli Hainin, Haryati Yaacob, Md. Maniruzzaman B. A. Aziz, Mohd Khairul Idham, Norhidayah Abdul Hassan, Othman Che Puan, “Rutting Performance of Cold Stone Mastic Asphalt” Paper ID: SIM-023 in the “The Third International Conference on Construction and Building Engineering – ICONBUILD2017” will be held at Hotel Aryaduta Palembang, South Sumatera, Indonesia from 14th – 17th August 2017. Yusuf Babangida Attahiru, Maniruzzaman A. Aziz*, Shamsuddin Shahid, “Green economy and sustainable development for Nigeria” AIMC 2017 (Asia International Multidisciplinary Conference), 05 May 2017, University Technology Malaysia. (Abstract ID: AIMC-2017-STE-435). Maniruzzaman A. Aziz*, Khairul Anuar Bin Kassim, R. Saidur, Nurul Hidayah Muslim, “Feasibility of Carbon Capture and Storage Technology in the Construction Industry” Paper ID UTM.J.09.08.01/19.10 (20), Conference on Emerging Energy and Process Technology (CONCEPT 2016), will be held on 07 – 08 December, 2016, Ancasa Residences, Port Dickson, Malaysia. Thanwa Filza Nashruddin, Maniruzzaman A. Aziz*, Ramadhansyah Putrajaya, Wan Azelee Wan Abu Bakar, R.Saidur, “Green Road Action: Sequestring Greenhouse Gas (GHGS) Emissions Associated with Road Constructions Activities – A Review” Paper ID UTM.J.09.08.01/19.10 (19), Conference on Emerging Energy and Process Technology (CONCEPT 2016), will be held on 07 – 08 December, 2016, Ancasa Residences, Port Dickson, Malaysia. Farahiyah Abdul Rahman, Maniruzzaman A. Aziz*, R. Saidur, Wan Azelee Wan Abu Bakar, M R Hainin, Ramadhansyah Putrajaya, “Carbon Dioxide (CO2) Reduction in Industrial Sector: A Review on its Method and Challenge” Paper ID UTM.J.09.08.01/19.10 (18), Conference on Emerging Energy and Process Technology (CONCEPT 2016), will be held on 07 – 08 December, 2016, Ancasa Residences, Port Dickson, Malaysia. Ebenezer Oluwasola, Mohd Rosli Hainin, Maniruzzaman A. Aziz, “Durability Assessment of Dense-Graded Asphalt Incorporating Electric Arc Furnace Steel Slag and Copper Mine Tailings” Paper ID: 161, at the 8th International Conference on Maintenance and Rehabilitation of Pavements (MAIREPAV8) at the Furama Riverfront Singapore Hotel from 27th to 29th July 2016. Zohair Ahmed Altieb, Maniruzzaman A. Aziz*, Khairul Anuar Bin Kassim, Hauwa Baffa Jibrin, “A Short Review on Partial Replacement of Asphalt Binder with Crumb Rubber”, Paper ID 41. 10th International Conference on Geotechnical and Transportation Engineering (Geotropika 2016), held at Seri Pacific Hotel, Kuala Lumpur, Malaysia from 17-18 February 2016. Khairul Hafiz Bin Mustafa, “A Brief Review On Crack Relief Layer In Airport Runway”, Paper ID 45. 10th International Conference on Geotechnical and Transportation Engineering (Geotropika 2016), held at Seri Pacific Hotel, Kuala Lumpur, Malaysia from 17-18 February 2016. Bin Ahmad Zaini, M. Naqiuddin M. Warid, “A Brief Review on Crack Relief Layer (CRL) in Roads and Highways”, Paper ID 47. 10th International Conference on Geotechnical and Transportation Engineering (Geotropika 2016), held at Seri Pacific Hotel, Kuala Lumpur, Malaysia from 17-18 February 2016. Maniruzzaman A Aziz, Ratnasamy Muniandy and Salihudin Hassim, “An Overview of Moisture Damage Performance Tests on Asphalt Mixtures”, Paper ID 59. 10th International Conference on Geotechnical and Transportation Engineering (Geotropika 2016), held at Seri Pacific Hotel, Kuala Lumpur, Malaysia from 17-18 February 2016. Ebenezer Akin Oluwasola, Mohd Rosli Hainin*, Maniruzzaman A. Aziz, “Effect of Moisture Damage on Gap-Graded Asphalt Mixture Incorporating Electric Arc Furnace Steel Slag and Copper Mine Tailings”, Paper ID 66. 10th International Conference on Geotechnical and Transportation Engineering (Geotropika 2016), held at Seri Pacific Hotel, Kuala Lumpur, Malaysia from 17-18 February 2016. Mohd Amar Ismail, Mohd Bukhari Mohd Yunus, Md. Syafiq Mohamad Daud, Nurul Hidayah Muslim, Farahiyah Abdul Rahman, Maniruzzaman A.Aziz1*, An Appraisal on Non-destructive and Non-automated Tests for Pavement Distress – A Case Study” in the 4th International Conference on Engineering Business Management (ICEBM) 2015, ISBN:978-967-13383-2-2, held at Hotel Maya, Kuala Lumpur from 22 – 23 August 2015. Maniruzzaman A. Aziz*, Ahmed Wsoo Hamad, Abdulmalik Musa Maleka and Moetaz Elsergany, “Rheological Properties of Cellulose Oil Palm Fiber (COPF) Modified 80-100 Asphalt Binder” Article No. : WVCASEA2015-ID-053, World Virtual Conference on Applied Sciences and Engineering Applications, held on March 27-29, 2015, in Universit Teknologi Malaysia (UTM), Johor, Malaysia. (SCOPUS indexed). Maniruzzaman A. Aziz*, Ahmed Wsoo Hamad, Abdulmalik Musa Maleka, Fauzan Mohd Jakarni, “Effect of Viscoelastic Behaviour of Cellulose Oil Palm Fiber (COPF) Modified 60-70 Asphalt Binder for Deterioration for Roads and Highways” Article No. : WVCASEA2015-ID-052. World Virtual Conference on Applied Sciences and Engineering Applications, held on March 27-29, 2015, in Universit Teknologi Malaysia (UTM), Johor, Malaysia. (SCOPUS indexed). Maniruzzaman A. Aziz* , Md Tareq Rahman, Mohd. Rosli Hainin, Wan Azelee Wan Abu Bakar, “Alternative Binders for Flexible Pavement” International Integrated Engineering Summit 2014 (IIES 2014), Universiti Tun Hussein Onn Malaysia, 86400 Parit Raja, Batu Pahat, Johor, held on 1-4 December 2014. (SCOPUS indexed). Ebenezer Akin Oluwasola, Mohd Rosli Hainin and Maniruzzaman A. Aziz*, “Effect of aging on the resilient modulus of stone mastic asphalt incorporating electric arc furnace steel slag and copper mine tailing” International Civil Infrastructure Engineering Conferences (InCIEC 2014), held in Sabah, East Malaysia from 28.9.2014 to 01.10.2014. SPRINGER indexed. Maniruzzaman A. Aziz, Ramadhansyah Putra Jaya, Norhidayah Abdul Hasan, Mohd Ibrahim Mohd Yusak, Badorul Hisham Abu Bakr and Salwa Mohd Zaini,”Use of Rice husk Ash to Improve Properties of Concrete under Sodium Chloride by Wetting and Drying” 2nd International Conference on Global Sustainability and Chemical Engineering (ICGSCE), held on 20 – 22 August 2014 at University Technology Mara (UiTM), Shah Alam, Kual Lumpur , Malaysia. Paper ID: 69. (SCOPUS indexed). Shahab Moeini Feizabadi, Mohd Rosli Hainin, Maniruzzaman B. A. Aziz*, Haryati Yaacob, M. Naqiuddin M. Warid and Manouchehr Shokri, “A Review: Merits of Warm-Mix Asphalt Technology using Sasobit and Aspha-Min Additives “,1st International Conference on the Science & Engineering of Materials (ICoSEM 2013), 13-14 Nov. 2013, Kuala Lumpur, Malaysia. Paper ID 251. Ebenezer Akin Oluwasola, Mohd Rosli Hainin, Maniruzzaman B.A. Aziz*, Haryati Yaacob and Fung – Lung Chang, “Potentials of Steel Slag and Copper Mine Tailings as Construction Materials: A Review”, 1st International Conference on the Science & Engineering of Materials (ICoSEM 2013), 13-14 Nov. 2013, Kuala Lumpur, Malaysia. Paper ID: 252. Zulfiqar Ali, Mohd Rosli Hainin, Maniruzzaman B.A. Aziz*, Haryati Yaacob, Fung-Lung Chang, Abbas Mukhtar Adnan, “Utlization of Steel Slag for the Construction of Roads in Pavement Layers A Review”, 1st International Conference on the Science & Engineering of Materials (ICoSEM 2013), 13-14 Nov. 2013, Kuala Lumpur, Malaysia. Paper ID: 253. Naqiuddin M. Warid*, Mohd Rosli Hainin, Haryati Yaacob, Md. Maniruzzaman B. A. Aziz, Mohd Khairul Idham, “Thin Cold Mix Asphalt Overlay”, 1st International Conference on the Science & Engineering of Materials (ICoSEM 2013), 13-14 Nov. 2013, Kuala Lumpur, Malaysia. Paper ID: 280. Mohd Rosli Hainin, Maniruzzaman B. A. Aziz* and Oluwasola Ebenezer Akin, “Steel Slag Utilization: Prospects and Challenges”, Proceeding of GEOCON 2013, A Joint Conference of International Conference in Geotechnical and Transportation Engineering (9th GEOTROPICA) and International Conference on Innovative Construction and Buildings (1st ICONBUILD), Persada Johor International Convention Centre, Johor Bahru, 28-30th Oct 2013, Pages 1221-1233. ISBN 978-967-0194-36-3. Paper ID: 200. Mohd Rosli Hainin, Maniruzzaman B. A. Aziz*, Shahab Moeini Feizabadi, Zulfiqar Ali, Manouchehr Shokri and Abbas Mukhtar Adnan, “An Overall Review: Modified Asphalt Binder Containing Sasobit In Warm-Mix Asphalt Technology”, Proceeding of GEOCON 2013, A Joint Conference of International Conference in Geotechnical and Transportation Engineering (9th GEOTROPICA) and International Conference on Innovative Construction and Buildings (1st ICONBUILD), Persada Johor International Convention Centre, Johor Bahru, 28-30th Oct 2013. Pages 1297-1311. ISBN 978-967-0194-36-3. Paper ID: 218. Mohd Rosli Hainin, Maniruzzaman B. A. Aziz*, Manouchehr Shokri, Abbas Mukhtar Adnan, Shahab Moeini Feizabadi and Zulfigar Ali, “A Review on Performance of Steel Slag in Highway Surface Course”, Proceeding of GEOCON 2013, A Joint Conference of International Conference in Geotechnical and Transportation Engineering (9th GEOTROPICA) and International Conference on Innovative Construction and Buildings (1st ICONBUILD), Persada Johor International Convention Centre, Johor Bahru, 28-30th Oct 2013. Pages 1312-1322. ISBN 978-967-0194-36-3. Paper ID: 219. Mohd Rosli Hainin, Manniruzzaman B. A. Aziz*, Abbas Mukhtar Adnan, Shahab Moini Feizabadi, Zulfiqar Ali and Manouchehr Shokri, “A Review on the Performance of Modified Asphalt Binder with Tire Rubber Powder”, Proceeding of GEOCON 2013, A Joint Conference of International Conference in Geotechnical and Transportation Engineering (9th GEOTROPICA) and International Conference on Innovative Construction and Buildings (1st ICONBUILD), Persada Johor International Convention Centre, Johor Bahru, 28-30th Oct 2013. Pages 1323-1337. ISBN 978-967-0194-36-3. Paper ID: 220. Manouchehr Shokri, Shahab Moeini Feizabadi, Manniruzzaman B. A. Aziz* “A Review of Steel Slag as a Road Construction Material Not an Industrial Waste”. Proceeding of GEOCON 2013, A Joint Conference of International Conference in Geotechnical and Transportation Engineering (9th GEOTROPICA) and International Conference on Innovative Construction and Buildings (1st ICONBUILD), Persada Johor International Convention Centre, Johor Bahru, 28-30th Oct 2013. Pages 1338-1352. ISBN 978-967-0194-36-3. Paper ID: 221. Ratnasamy Muniandy*, Maniruzzaman B. A. Aziz, Salihudin Hassim, “Preliminary study on the use of microwave permittivity in the determination of asphalt binder penetration and viscosity” Hong Kong International Conference on Engineering and Applied Science, (2012 HKICEAS)., SkyCity Marriott Hotel, Hong Kong, Conference proceedings, 14-15 December 2012. Pages 103-112. Paper ID: 056. Ratnasamy Muniandy, Maniruzzaman B. A. Aziz, Khazani Abdullah, Ahmad Rodzi Mahmud, Kaida Khalid, Alyani Ismail, “An overview of determination of asphalt properties using microwave techniques” World Engineering Congress (WEC) 2010, Sarawak, Malaysia, 2-5, August, 2010. This core subject was introduced in UTM for the first time by myself in the session 201220131 for post graduate students. I am one of the two lecturers in Malaysia, who are able to teach this subject. This is due to my fifteen (15) years industrial experience in Malaysian highway industry including KL International Airport (KLIA). 2016, PY/2016/06637, “Performance of Carbon Neutral Materials for Road Construction”, GUP Research Grant, Tier 1 Fasa 2/2016J130000.2522.15H32 (RM 40,000.00). Project Leader (UTM). (duration 2 years, 1 October 2016 – 30 September 2018). 2015, PY/2015/05113, Phase 3/2015, “Utilization of Carbon Dioxide (CO2) Emissions from Road Construction Industries to Renewable Energy” GUP Research Grant, Tier 2015/3, J130000.2522.13H00 (RM 50,000.00). Project Leader (UTM). (duration: 01 Febuarry 2016 – 19 January 2018). 2015 “Modification of Bitumen Binder for Roads and Highways by Waste Materials” GUP Research Grant, Tier 1, J130000.2522.09H94 (RM 42,250.00). Project Leader (UTM). (duration: 01 May 2015 – 31 October 2016). 2014 “Construction of Roads and Highways using Hazardous Industrial Waste Materials” GUP Research Grant, Tier 1, J130000.2509.09H33 (RM 20,000.00). Project Leader (UTM). (duration: 01 July 2014 – 30 June 2015, Ended in June 2015). 2013 “Determination of Electromagnetic Properties of Bitumen Emulsion” GUP Research Grant, J130000.2722.00K42 (RM 30,000.00). Duration: 01 June 2013 – 31 August 2014, Ended in August 2014. Project Leader (UTM). 2017, “Performance of Waste Cooking Oil as an Alternative Binder for Hot Mix Asphalt”. GUP Research Grant, PY/2017/00205 (RM 40,000.00), Duration 01July 2017 – 30 June 2019, Project Member (UTM). 2016 “Performance of palm oil fuel ash in asphalt emulsion” GUP Research Grant, PY/2016/06466 (RM 50,000.00), Duration 01July 2016 – 30 June 2018, Project Member (UTM). 2015 “The Effects of Coconut Shell on the Engineering Properties and Performance of Porous Asphalt” GUP Research Grant, Tier 1, 09H67 (RM 50,000.00). Duration: 01 May 2015 – 31 October 2016. Project Member (UTM). 2014 “Traffic Accident Predictive Model Based on Pavement Condition” GUP Research Grant, Tier 1, 06H53 (RM 50,000.00). Project Member (UTM). 2014, “Performance of Porous Concrete Pavement Incorporating Nano Silica From Rice Husk Ash” GUP Research Grant, Tier 2 E, 09J75, (RM 20,000.00). Project Member (UTM). 2015, PY/2015/05009 “The Application of Cup Lump Rubber for Asphalt Pavement” GUP Research Grant, Tier 1, 11H76, (RM 50,000.00). Duration 15.11.2015-14.11.2017. Project Member (UTM). 2011 “Determination of Asphalt Properties by Microwave Techniques”, University Putra Malaysia (UPM), Malaysia. PhD Project. 2006 “Uniformity Study of Subgrade – A case study on Jalan Pintas Rawang, Kuala Lumpur, Malaysia”, Master Project. 2017, Networking Grant, Fundmental Research “Evaluation of moisture damage performance of asphalt mixtures in thin films based on fundamental properties of aggregates-bitumen interaction” Ref: FRGS/1/2017/TK06/UPM/02/1), (RM 78,200.00). Duration: 15.08.2017 – 14.08.2020). Project Member, University Putra Malaysia (UPM). 2014, Networking Grant, Fundmental Research “Determination of Adhesive Behaviour and Failure Characteristics of Asphalt Mixtures” Ref: FRGS/1/2014/TK02/UPM/02/1), X034, (RM 89,700.00). Duration: 01 July 2014 – 30 June 2016). Project Member, University Putra Malaysia (UPM). Appointment as Assessment Panel Technical Proposal Evaluation GUP 2018/1, Niche Area Innovative Engineering (Lantikan Sebagai Panel Penilai Teknikal Penilaian Proposal GUP Tier 2 2018/1, Niche Area Innovative Engineering), Research Management Center (RMC), UTM, JB, evaluated in November 2017, PY/2017/02026, “Characterization Of Various Type Of Building Demolition Waste As Aggregate Replacement”. Appointment as Assessment Panel Technical Proposal Evaluation GUP 2015/3, Niche Area Innovative Engineering (Lantikan Sebagai Panel Penilai Teknikal Penilaian Proposal (GUP) 2015/3 Niche Area Innovative Engineering), Research Management Center (RMC), UTM, JB, October 2015 on PY/2015/05 PY/2015/04963149, “Eco-Driving Licence Index Manual For Promoting Low-Energy And Low-Emission”. Appointment as Assessment Panel Technical Proposal Evaluation GUP 2015/3, Niche Area Innovative Engineering (Lantikan Sebagai Panel Penilai Teknikal Penilaian Proposal (GUP) 2015/3 Niche Area Innovative Engineering), Research Management Center (RMC), UTM, JB, October 2015 on PY/2015/05149, “Parking Generation on Government Hospitals in Malaysia”. Appointment as Assessment Panel Technical Proposal Evaluation GUP 2015/3, Niche Area Innovative Engineering (Lantikan Sebagai Panel Penilai Teknikal Penilaian Proposal (GUP) 2015/3 Niche Area Innovative Engineering), Research Management Center (RMC), UTM, JB, October 2015 on PY/2015/05220, “Interaction Mechanism Between Bituminous Mixtures and Kenaf Fibre to Improve Rutting Resistance And Moisture Damage”. Evaluator for the panel of application e-science fund 1/2015, Ref. UTM.J.09.09/25 (3) of dated 30 March 2015 for Smart Infrastructure and Innovative Construction (ISIIC) of potential academic staff for senior lecturer ‘Arezou Shafaghat’, for “Development of Driver’s Green Travel Behavior Assessment Model towards Low-energy and low-emission” March 2015. Evaluator for RUG 1/2015 from Construction Research Alliance (Panel & Project Leader), “Development of High Permeability and Low Noise Concrete Paving Blocks” of Project leader Prof. Ir. Dr. Hasanan Md Nor, November 2014. Evaluator for Tier 2 of Research University Grant Scheme (RUG/GUP) from Construction Research Alliance (CRA), for senior lecturer ‘Arezou Shafaghat’, for “Eco-driver adaptive behavior assessment model for energy efficient car design” November 2014. Evaluator for Research University Grant Scheme (RUG/GUP) from Construction Research Alliance (CRA), potential academic staff of senior lecturer ‘Arezou Shafaghat’, for “Driver’s green adaptive travel behaviors in low-energy urban development” November 2014. Abdul Wahab (PKA 163054), Lecturer at Islamic University Madinah (IUM) “Microwaves in Civil Engineering”, June 201620173 – present. Farahiyah Bt. Abdul Rahman, (PKA143033), “Solution of pollution” February 2015 – present. Thanwa Filza Binti Nashruddin, (PKA143042), “Solution of pollution” February 2015 – present. Ahmad Raad Hassan (PKA143035), “Pollution to solution” February 2015 – deferred. NurulHuda Binti Ahamad (PKA 153003), “Pollution to solution” February 2015 – present. Abdul Hadi bin Ahamad (PKA143047), “Managing Roads, Highways and Airport Runways with Life Cycle Cost (LCC) in view of Pavement Management System. Mohammad Naqiuddin Bin Mohd. Warid (PA103148), “Behaviour of cold stone mastic asphalt using small nominal maximum aggregate size”, April 2013 – Present (Co-Supervisor), Graduated in 2017. Oluwasola, Ebenezer Akin (PA123049), “Suitability of Electric Arc Furnace (EAF) steel slag and copper mine tailings in asphaltic concrete material”. March 2013 – Present (Co-Supervisor), Graduated in 2015. Mohammad Mosiour Rahman (MKA143011), “Development of Electromagnetic properties of Soil” September 2014 – Present (Main Supervisor), Graduated in 2017. Mohammad Golam Kader Mahmud (MKA143013), “Evaluation of Nanoclay Modified Asphalt Binder for Road Works” September 2014 – Present (Main Supervisor). Rezaul Karim Bhuiya (MKA143012), “Structural and Architectural design of Civil Defense (CD) Shelter Walls Opening) for road works” September 2014 – Present (Main Supervisor). Yusuf Babangiag Attahiru (MKA 161026), “Green Economy and Sustainable Development of Nigeria” February 2017. Aiban Abdulhakim Saeed Ghaleb (MKA 151035), A new approach to recycle PET bottles as plastic aggregates in road pavement, February 2016. Muhammad Umair Israr (MKA 151109), A new approach to recycle PET bottles as plastic aggregates in road pavement, February 2016. Hauwa Baffa Jibrin (MKA 141102), Development of alternative of asphalt binder for Highway industry, 2015. Lawrence Madu Chikezie (MKA141132), Evaluation of Dense Bituminous Macadam (DBM) for Roads and Highways, June 2015. Zohair Ahamed Altieb (MKA141130), Repalcement of asphalt binder with waste materials for highway industry, 2015. Ashraf Bin Ahmad Zaini (MKA141020), Design of Crack Relief Layer (CRL) for Airport Runways, 2015. Najeebullah Khan, “Determination of microwave properties of bitumen emulsion” August 2014, completed. Shahab Moeini Feizabadi, “Performance Aspects of Warm-Mix Asphalt (WMA) Compare with Hot Mix Asphalt (HMA) in terms of Rutting and Fatigue”, 2014 completed. Manouchehr Shokri, “Performance of Steel Slag for wearing course compared with conventional wearing course”, June 2014, completed. Abbas Mukhtar Adnan, “Performance of Tire Rubber Powder (TRP) Modified Asphalt Binder”, January 2014, completed. Zulfiqar Ali, “Performance of Steel Slag for Wearing Course of Pavement”, January 2014, completed. Ahmad Wsoo Hamad, “Determination of viscosity and complex shear modulus of Cellulose Oil Palm Fiber (COPF) modified bitumen blended with penetration grade bitumen binder 80-100 and 60-70”, January 2014, completed. Ahmad R. Hassan, “Comparing Rutting and Fatigue for Sasobit Modified Asphalt Binder”, January 2014, completed. Rami AbdulJalil Abdulaziz Abdulnoor, Matric No. A14KA4002, Rutting and Fatigue behavior of plasctic road and Hot Mix asphaltic road, in Universiti Teknologi Malaysia 2016-2017 – Present (Main Supervisor), a Saudi Arab student. Yasir Abullah Mayusof Thailandi, 201209M10617, Wet mix macadam for roads and highways, in Universiti Teknologi Malaysia 2016-2017 – Present (Main Supervisor), a Saudi Arab student. Mohamad Farhan Izzad Bin Abd. Rahman, A14KA0066, Rutting and Fatigue behavior of plasctic road and Hot Mix asphaltic road, in Universiti Teknologi Malaysia 2016-2017 – Present (Main Supervisor). Mohamad Shafiq Bin Suhaimi ( A13KA0075), Plastic aggregates for construction of roads, in Universiti Teknologi Malaysia 2016-2017 – Present (Main Supervisor). Ahmad Kamal Akram Md. Uzir (A13KA0005), Engineering properties of plastic aggregates for road construction, in Universiti Teknologi Malaysia 2016-2017 – Present (Main Supervisor). Mohd Bukhari Bin Mohd Yunus (B12KA0018), “Determination of pavement condition using Ground Penetrating Radar (GPR) and Dynamic Cone Penetrometer (DCP)” at Jalan Persiaran Satelit – Jalan Kolam Air, Ch 280-560 in Universiti Teknologi Malaysia 2014 – Present (Main Supervisor). Md Syafiq Bin Mohamad Daud (B12KA0011), “Determination of pavement condition using Ground Penetrating Radar (GPR) and Dynamic Cone Penetrometer (DCP)” at Jalan Persiaran Satelit – Jalan Kolam Air, Ch 560-840 in Universiti Teknologi Malaysia 2014 – Present (Main Supervisor). Collaboration with IJM Corporation Berhad Workshop, held on 12 May 2016, at Senate Building, from 11:00am to 3:00pm, chaired by Deputy Vice Chancellor. Shell Singapore is supplying free bitumen from Singapore to Faculty of Civil Engineering (FKA) including the cost of transportation in the year 2014-2016. Visit premix batching plant and drum mix plant of Hanson Quarry Products Sdn. Bhd. Johor Bahru, Malaysia with my PhD students and others for data collection on 12 October 2017. Visit drum mix plant of Pati Sdn. Bhd. Kulai, Johor Bahru, Malaysia with my PhD students and others for data collection on 09.10.2017. Visit Paramount drum mix plant, Kulai, Johor Bahru, Malaysia with my PhD students and others for data collection on 05.10.2017. Visit premix batching plant and drum mix plant of Swee Premix Sdn. Bhd. Kulai, Johor Bahru, Malaysia with my PhD students and others for data collection on 04.10.2017. Visit premix plant of RapidJaya Sdn. Bhd. Kulai, Johor Bahru, Malaysia with my PhD students and others for data collection on 15 February 2017, 14 April, 18 April, 23 May 2017. A visual inspection was carried out on 06 October 2017 for the Master students of semester 201720181 of Jalan Meranti (inner roads), University Technology Malaysia (UTM), Johor Bahru, for determining the deterioration of roads [Pavement Condition Index (PCI)] for rehabilitation strategies. A visual inspection was carried out on 13 November 2016 for the Master students of semester 201620171 of Jalan Meranti (inner roads), University Technology Malaysia (UTM), Johor Bahru, for determining the deterioration of roads [Pavement Condition Index (PCI)] for rehabilitation strategies. A visual inspection was carried out on 27 March 2016 for the Master students of semester 201520162 of Jalan Meranti (inner roads), University Technology Malaysia (UTM), Johor Bahru, for determining the deterioration of roads [Pavement Condition Index (PCI)] for rehabilitation strategies. A site visit on Cold in-Place Recycling (CIPR) of Senai Desaru Expressway, Johor, Malaysia was carried out on 18 March 2016, UEM Propel Edgenta, Km 0.2-5.2, with 25 PhD and Master students. A visual inspection was carried out on 05 December 2015 for the students of semester 201520161 of Jalan Meranti (inner roads), University Technology Malaysia (UTM), Johor Bahru, for determining the deterioration of roads [Pavement Condition Index (PCI)] for rehabilitation strategies. A site visit was carried out on construction of road project of 5.8km Main Road from Seelong Road to Taman Impian Emas, Johor Bahru for the students of semester 2014/2015/2 on 8 May 2015. Owner: Amber Heights Sdn. Bhd and the Builder: Woon Brothers Sdn. Bhd. A visual inspection was carried out on 12 April 2015 for the students of semester 201420152 of inner roads of University Technology Malaysia (UTM), Johor Bahru, for determining the deterioration of roads [Pavement Condition Index (PCI)] for rehabilitation strategies. Visual inspection was carried out on 20 November 2014 for the students of semester 201420151 of inner roads of University Technology Malaysia (UTM), Johor Bahru for determining the deterioration of roads [Pavement Condition Index (PCI)] for rehabilitation strategies. Demonstration of Chipseal was carried out on 12.April 2014 at Jalan Sungai Kluang, Ayer Hitam, Johor Bahru with 29 Master students of semester 201320142 to gain the practical work at site, the work was carried out by Bina Masyhur Sdn. Bhd, a member of Selia Selenggara group. Visual inspection of inner roads of University Technology Malaysia (UTM), Johor Bahru for determining the deterioration of roads [Pavement Condition Index (PCI)] for rehabilitation strategies for the students of semester 201320142 on 16 March 2014. Demonstration of latest road deterioration measurement equipment including Falling Weight Deflectometer (FWD), Road Scanner, Grip tester and almost all equipment presently available in Malaysia by Selia Selenggara Selatan Sdn. Bhd. Meleka with 21 PhD and Master students for the semester 2013/2014/1 on 15 January 2014. Cold in-place recycling work at Batu Enam, Segamat district, Johor Bahru with 31 PhD and Master students of semester 2012/2013/2 to gain the practical work including milling and laying work, the work was carried out by Bina Masyhur Sdn. Bhd, a member of Selia Selenggara group on 5 April 2013. 6th Lab demonstration was carried out on 20 November 2016 for the semester 201620171. 5th Lab demonstration was carried out on 29 May, 2016 for the semester 201520162. 4th Lab demonstration was carried out on 22 December, 2015 for the semester 201520161. 2nd Lab demonstration was carried out on 9 March 2014 2014 for the session 201320142. 1st Lab demonstration was carried out in the lab of Highway and Geotechnics on 9 December 2013. Panel assessor to a Master Thesis entitled “Performance of Waste Cooking Oil on Asphalt Mixture Subjected to Aging,” Romana Sarker Lopa (201609F10172), December 2017. Panel assessor to a Master Thesis entitled “Effect of Black Rice Husk Ash in the Asphalt Mixture under different Aging Condition,” Noor Azlan Abdullah (801203055061), December 2017. Panel assessor to a PhD Thesis entitled “Performance of Nanoceramic Powder on Asphhalt Mixture Properties,” Ahmad AbdulAmeer Hussein (PKA153025), October 2017. Panel assessor to a Master Thesis entitled “Effect of Black Rice Husk Ash in the Asphalt Mixture under different Aging Condition,” Noor Azlan Abdullah (801203055061), April 2017. Panel assessor to a PhD Thesis entitled “Performance of Nano Ceramic Powder in Asphalt Mixture”, Ahmed AbdulAmeer Hussein, November 2016. Panel assessor to a PhD Thesis entitled “The Performance of Nano charcoal ash from Coconut Shell as Binder Modifier in Aspahlt Mixture” Siti Nur Amira Jeffry (PKA 153001), May 2016. Panel assessor to a Doctorial Thesis entitled “Green Highway Life Cycle Costing by Using Linear Programming” Muhammad Faiz Bin Abd Rahman (870510015923), December 2015. Panel assessor to a Doctorial Thesis entitled “Accident Prediction Model By Road Conditions In Malaysia” Sudesh Nair A/L Baskarapka, November 2015. Panel assessor to a Doctorial Thesis entitled “Effect of Nanoclay modified Asphalt on Engineering Properties and Performance of Porous Asphalt” Nurulain Bte. Che’ Mat PKA PA 133040, October 2015. Panel assessor to a Master Thesis entitled “Experimental Evaluation of Diatomite as Anti-stripping in Porous Asphalt Mixtures” Nurul Athma Binti Mohd Shukry, MKA 143003, May 2015. Panel assessor to a Master Thesis entitled “Effect of Coconut Fiber and Coconut Shell on the Properties of Double Layer Porous Asphalt Pavement” Tay Lay Ting, MKA143008, May 2015. Panel assessor to a Doctorial Thesis entitled “The Application of Waste Cooking Oil (WCO) as Bio Asphalt for Binder Modification in Porous Mix Asphalt” Wan Nur Aifa Binti Wan Azahar PKA143021, May 2015. Panel assessor to a Doctorial Thesis entitled “Properties of Porous Concrete Pavement Containing Nano-Silica” Mohd Ibrahim Bin Mohd Yusak (881118016263), April 2015. Panel assessor to a Doctorial Thesis entitled “Laboratory Evaluation of Bio-Asphalt as sustainable binder for Hot Mix Asphalt” Noor Azah Binti Abdul Raman (740913075044), April 2015. Panel assessor to a Master Thesis entitled “Parking Demand Triend at Machap Rest Area” Muhammad Syimir Bin Abd Wahab (890601-05-5195/MA131016), December 2014. Panel assessor to a Master Thesis entitled “A Study on Parking Generation at Government Office Building in Perak” Abdul Razak Ali (670613-08-6111/MA131070), December 2014. Panel assessor to a Master Thesis entitled “Properties of Asphaltic Concrete AC 14 containing Coconut Shell as Course Aggregates” Siti Nur Amiera Jeffry (890212-13-6004/MA 131023), December 2014. Panel assessor to a Master Thesis entitled “The Effects of Coconut Shell on the Engineering Properties of Porous Asphalt” Norhafizah Binti Manap (830426-04-5090/MA131019), December 2014. Panel assessor to a Master Thesis entitled “Effect on Effort of Compaction on Hot Mix Asphalt” Mohd Amirul Hakim Bin Md Noor, (900806-01-6495/MA131082), December 2014. Panel assessor to a Master Thesis entitled “Rheological Properties of Polyethylene Modified Bitumen” Moazzam Ali Mughal, (201308M10025/MA131001), December 2014. Panel assessor to a Master Thesis entitled “Effect on Effort of Compaction on Warm Mix Asphalt” Azim Bin Abdul Razak, (900806-01-6495/MA131082), December 2014. Panel assessor to a Doctorial Thesis entitled “Performance of Asphalt Binder Blended with Modified Nanoclay on The Engineering Properties of Porous Asphalt” Nurulain Bte Che` Mat, November 2014. Panel assessor to a Doctorial Thesis entitled “Utilizing Bio- Binder from Coconut Shell to Improve the Properties of Asphalt Performance” Rosmawati Mamat, November 2014. Panel assessor to a Doctorial Thesis entitled “Studies on Parking Generation at Expressway Rest Areas in Southern Peninsular Malaysia” Izzul Bin Ramli, October 2014. Panel assessor to a Doctorial Thesis entitled “Permeability and Clogging Properties for Porous Asphalt Friction Course” Mohd Zul Hanif Mahmud, October 2014. Panel assessor to a Master Project entitled “Influence of Crumb Rubber Size in Hot Mix Asphalt Mixture” Gizing Sami Hamad, May 2014. Panel assessor to a Master Pre-project entitled “The effect of coconut shell on engineering properties of porous asphalt” Norhafizah Binti Manap, May 2014. Panel assessor to a Master pre-project entitled “Evaluation of effect in compaction of Hot Mix Asphalt (HMA)” Mohd Amirul Hakim Bin Md. Noor, May 2014. Panel assessor to a Doctorial Thesis entitled “Laboratory Evaluation of Bio-Asphalt as sustainable binder for Hot Mix Asphalt” Noor Azah Binti Abdul Raman (740913075044), April 2014. Panel assessor to a Doctorial Thesis entitled “Properties of Porous Concrete Pavement Containing Nano-Silica” Mohd Ibrahim Bin Mohd Yusak (881118016263), April 2014. Panel assessor to a Doctorial Thesis entitled “Automated Decision Making Model for Green Highway Life Cycle Cost by Using Linear Programming Method” Muhammad Faiz Bin Abd Rahman (870510015923), April 2014. Panel assessor to a Doctorial Thesis entitled “Performance of Recycled Mixture Containing Waste Engine Oil in Warm Mix Asphalt” Nurul Hidayah Binti Mohd Kamaruddin, March 2014. Panel assessor to a Master Project entitled “Influence of Flaky Aggregates on Stone Mastic Asphalt (SMA)” Mohammed Mansoor Mofreh Gubran, December 2013. Panel assessor to a Master Project entitled “Performance of Underside Shaped Concrete Block Pavement Under Horizontal Loading” Nur Nadhira Binti Abdul Rasid, December 2013. Panel assessor to a Master Project entitled “The Effect of Rubber Bitumen Interaction on the properties of Dry Mixed Rubberised Asphalt Mixture” Abdul Warith Ibrahim Bibi Farouk, December 2013. Panel assessor to a Master Project entitled “The Effect of Crumb Rubber Size and Content on the Properties of Dry Mixed Rubberised Asphalt Mixtures” Ali Abdul Hussein abdul Ridha, December 2013. Panel assessor to a Master Project entitled “Investigation of the Macro Structure Properties of Porous Asphalt” Kabiru Abdullahi Ahmad, December 2013. Panel assessor to a Master Pre-project entitled “Influence of Crumb Rubber Size in Hot Mix Asphalt” Gizing Sami Hamad, December 2013. Panel assessor to a Doctorial Thesis entitled “Permeability and Clogging Behaviour for Asphalt Mixtures under Tropical Climate” Mohd Zul Hanif Mahmud, November 2013. Panel assessor to a Doctorial Thesis entitled “Porous Concrete Block Pavement” Nur Hidayah Abd Halim, November 2013. Panel assessor to a Master Pre-project entitled “Performance of Dry mixed Rubberised Asphalt with Different Sizes of Crumb Rubber” Ali Abdul Hussein abdul Ridha, July 2013. Panel assessor to a Master Project entitled “The Effect of Aging on Asphaltic Concrete Containing Rubber by Using Loss Abrasion” Diana Binti Naubi, July 2013. Panel assessor to a Master Project entitled “Effect of Palm Oil Fuel Ash (POFA” Fineness on the Mechanical Properties of Asphaltic Concrete AC 14” Maleka Abdul Malik Musa, July 2013. Panel assessor to a Master Project entitled “The Effect of Time Dependent on Absorption of Asphaltic Concrete and Subjected to Aging” Thanwa Filza Binti Nashruddin, May 2013. Panel assessor to a Master Project entitled “Effect of using Ethylene Vinyl Acetate (EVA) Polymer on Asphalt Pavement” Nurulain Bte Che Mat, May 2013. Panel assessor to a Doctorial Thesis entitled “Assessment Model for Material and Technology Elements in Green Highway Index” Mastura Bujang, April 2013. Panel assessor to a Master Project entitled “Engineering Properties and Performance of Waste Engine Oil in Warm Mix Asphalt” Nurul Hidayah Mohd Kamaruddin, April 2013. Panel assessor to a Doctorial Thesis entitled “Porous Concrete Block Pavement” Nur Hidayah Abd Halim, January 2013. Panel assessor to a Master Project entitled “The construction of road diversion in swampy area at Jalan Lencongan Kurong Tengar, Perlis, case study” Noor Izaidah Binti Md Nasir, December 2012. Panel assessor to a Doctorial Thesis entitled “Influence of Raised intersection on traffic flow and delay” Seyed Mehrdad Ghaemi, December 2012. Panel assessor to a Master Project entitled “Effect of flaky aggregates on AC 14” Mohd Daud Bin Jarkasi, December 2012. Panel assessor to a Master Project entitled “Effect of aging on asphalt mix” Ali Moghaddasi, December 2012. Panel assessor to a Master Project entitled “Effect of fine aggregate angularity on rutting resistance on AC 10” Izzul Bin Ramli, December 2012. Panel assessor to a Master Project entitled “Effect of flaky aggregate on Marshall properties for asphaltic concrete AC 20” Zaini Bin Abd. Karim, December 2012. Panel assessor to a Master Project entitled “Influence of flaky aggregate toward creep and resilient modulus on AC 20” Mohd Zul Hanif Bin Mahmud, December 2012. Panel assessor to a Master Project entitled “Utilization of builders debris’ recycled aggregates in asphaltic binder course aggregate” Ahmad M. Abu Draz, December 2012. Panel assessor to a Master Project entitled “Flaky aggregates effect on creep and resilient modulus of AC 14” Muhammad Faiz Bin Abd Rahman, December 2012. Panel assessor to a Master Project entitled “The effect of fine aggregates angularity on Marshall properties of AC 14” Khairil Azman Bin Masri, December 2012. Panel assessor to a Master Project entitled “The effect of rubber dipping by-product on bitumen properties” Ruzaini Binti Mohamad Khalid, December 2012. Panel assessor to a Master Pre-project entitled “Effect of using Ethylene Vinyl Acetate (EVA) polymer on asphalt pavement” Nurulain Che Mat, December 2012. Panel assessor to a Master Pre-project entitled “The effect of asphaltic concrete on absorption subjected to aging” Thanwa Fiilza Nashruddin, December 2012. Panel assessor to a Master Pre-project entitled “Evaluation of abrasion loss on asphaltic concrete subjected to aging” Abdirizak Osman Dawlad, December 2012. Panel assessor to a Master Pre-project entitled “Tack coat evaluation” Liew Yee Shian, December 2012. Panel assessor to a Master Pre-project entitled “Tack coat evaluation” Vrida Ingrid Vellan, December 2012. Panel assessor to a Doctorial Thesis entitled “Recycling of hot mix asphalt mixture” Mohd Khairul Idham Bin Mohd Satar, November 2012. Panel assessor to a Doctorial Thesis entitled “Evaluation of the performance of bond strength between pavement surfacing layers” Chang Fung-Lung, November 2012. Panel assessor to a Doctorial Thesis entitled “Mid block u-turn facility” Iman Abbaszadeh Fallah, November 2012. Assessor to an undergraduate research proposal “Annual distribution of road maintenance cost for JKR Johor state road by using constrain budget method”, Nurfarahana Shazliyn Binti Ghazali, Matric No. A14KA0154, Sem 1, 20172018, December 2017. Assessor to an undergraduate research proposal “Effect of charcoal coconut shel ash on the asphalt mixture under long term aging”, Nurul Adilah Binti Mohd Yuseri, Matric No. A14KA0159, Sem 1, 20172018, December 2017. Assessor to an undergraduate research proposal “Evaluation of rutting performance of Warm mix asphalt using oil-base additives Evotherm and Evoflex”, Nur Aina Adha Binti Noor Azman, Mataric No. A14KA0130, Sem 1, 20172018, December 2017. Analysis of Road Traffic Accident: A Case Study at Senai Desaru Expressway”, Fatin Sakinah Binti Mohd Mahali, Matric No. A13KA0035, Sem 2, Session 2016/2017 , Final Year Project, Geotechnics And Transportation, June 2017. Panel assessor to an Undergraduate Project, “Analysis of Road Traffic Accident: A Case Study at Senai Desaru Expressway”, Fatin Sakinah Binti Mohd Mahali, Matric No. A13KA0035, Sem 2, Session 2016/2017 , Final Year Project, Geotechnics And Transportation, June 2017. Panel assessor to an Undergraduate Project, “The Effect of Bedding Sand on Joint Filling of Concrete Block Pavement” Zaidatul Shakirah Zaba, (A13KA0199), Sem 2, Session 2016/2017 , Final Year Project, Geotechnics And Transportation, June 2017. Panel assessor to an Undergraduate Project, “Trip Attrative Rate of Seconsary Schools in Taman Universiti” Aqilah Binti Ahmad Sedak, Matric No. B14KA0013, Sem 2, Session 2016/2017 , Final Year Project, Geotechnics And Transportation, June 2017. Panel assessor to an Undergraduate Project, “Effect of Fineness Kaoline Clay on trh Properties of Aphaltic Concrte AC14” Mohamad Hasimim Rafsanjani, Matric No. A13KA0070, Sem 2, Session 2016/2017 , Final Year Project, Geotechnics And Transportation, June 2017. Panel assessor to an Undergraduate Project, “Evaluating Actuated Signalized Intersection Capasity based on Malaysian Road Conditions”, Ainul Mazwin Binti Kamarudin, Matric No. B14KA0002, IC:920702-02-5408, Sem 2, Session 2016/2017 , Final Year Project, Geotechnics And Transportation, June 2017. Sem 1, Session 2016/2017 , Final Year Project, Geotechnics And Transportation, January 2017. Facility In University Technology Malaysia, Malaysia” Ahmad Kamarul Akmal Bin Ahmad Sobki, (A11KA0011), Sem 1, Session 2016/2017, Final Year Project, Geotechnics And Transportation, January 2017. Panel Panel assessor to an Undergraduate Project, “Safety Audit for Pedestrian Infrastructure Facility In University Technology Malaysia, Malaysia” Ahmad Kamarul Akmal Bin Ahmad Sobki, (A11KA0011), Sem 1, Session 2016/2017, Final Year Project, Geotechnics And Transportation, January 2017. Panel assessor to an Undergraduate Project, “Impact of different type of Road Humps on Vehicle Speed” Muhammad Faizuddin B Md Nor, Sem 1, Session 2016/2017, Final Year Project, Geotechnics And Transportation, January 2017. Panel assessor to an Undergraduate Project, “Analysis of Accident Data at Senai Desaru Expressway (E 22) for the year 2014, 2015” Fatin Sakinah Binti Mohd Mahali, (A13KA0035), December 2016. Panel assessor to an Undergraduate Project, “Analysis of Accident Data at Senai Desaru Expressway (E 22) for the year 2014, 2015” Muzianis Nazira Binti Mahyidin, (A13KA0107), December 2016. Panel assessor to an Undergraduate Project, “Effect of Bitumen Emulsion on Sand Bedding Layer of Concrete Block Pavement” Putri Fatin Amira Binti Saadon (A12KA0163), June 2016. Panel assessor to an Undergraduate Project, “Asphalt Block Using Recycled Asphalt Pavement” Siti Nur Naqibah Binti Kamarudin, (A12KA0178), June 2016. Panel assessor to an Undergraduate Project, “The Effect of Bitumen Emulsion as an Additive to Jointing Sand” Siti Farhana Binti Abd Malek, (A12KA0173), June 2016. Panel assessor to an Undergraduate Project, “Analysis of Road Accident at T-Junction” Farah Nabila Binti Hashim, (A12KA0026), June 2016. Panel assessor to a Undergraduate Project, “Performance of Different Types of Road Humps in Univeristi Teknologi Malaysia” Ting Hui Min (A12KA0192), June 2016. Panel assessor to an Undergraduate Project, “Rheological Study of Modified Bitumen Using Strene-Butadiene-Styrene (SBS)” Nazhatul Syazwanee Binti Jajuli, (A12KA0099), June 2016. Panel assessor to an Undergraduate Project, “Study the Performance of Modified Asphalt Mixture Using Strene-Butadiene-Styrene (SBS)” Nur Izzati Binti Saad, (A12KA0134), June 2016. Panel assessor to an Undergraduate Project, “Study the Performance of Modified Asphalt Mixture Using Strene-Butadiene-Styrene (SBS)” Siti Nursyazana Binti Yaacop, (A12KA0179), June 2016. Panel assessor to an Undergraduate Project, “The Effect of Fast Pyrolysis Bio-oil from Oil Palm Empty Fruit Branch on Bitumen Properties” Chia Chin Poh, (A12KA0014), June 2016. Panel assessor to an Undergraduate Project, “Effect of Using Waste Cooking Oil on the Bitumen Properties” Maisarah Binti Rasman, (A12KA0047), June 2016. Panel assessor to an Undergraduate Project, “A Study on the Efficiency of Bus Service in UTM” Yvonne Pui, (A12KA0200), June 2016. Panel assessor to an Undergraduate Project, “The Effect of Black Rice Husk Ash on the Rheological Properties of Bitumen” Raissa Romastarika, (A11KA2002), June 2016. Panel assessor to an Undergraduate Project, “Utilization of Waste Plastic as Additive to Improve Asphalt Mixture” Siti Aminah Binti Abd Kader, (A12KA0202), June 2016. Panel assessor to an Undergraduate Project, “The Effect of Coconut Shell as Course Aggregate in Asphalt Mixture” Amirah Hannani Binti Madzaili, (A12KA0010), June 2016. Panel assessor to an Undergraduate Project, “The Use of Plastic Waste in Bituminous Mixture for the Road Pavement” Nurul Asyiqin Binti Ahmad, (A12KA0155), June 2016. Panel assessor to an Undergraduate Project, “The Use of Kenaf Fibers as a Stabilizing Agent in Asphaltic Concrete” Fansuriah Zainab Binti Mohamad Sukor, (B13KA0012), June 2016. Panel assessor to an Undergraduate Project, “Use of Cup Lump Rubber for Bitumen Modification” Nur Haslinda Binti Danial (B13KA0049), May 2016. Panel assessor to an Undergraduate Project, “Performance of Concrete Pavement Incorporating Kaolin Clay” Mohd Nor Afiq Bin Shahafuddin, December 2015. Panel assessor to an Undergraduate Project, “Relationship between Time Mean Speed and Space Mean Space under various Weather Condition” Muhammad Afiq Naqiuddin Bin Muhamad Zubir December 2015. Panel assessor to an Undergraduate Project, “The Impact of Rainfall at Night on Vehicle’s Speed-Flow-Density Relationship” Nurul Aishah Binti Ahmad Suhaimi December 2015. Panel assessor to an Undergraduate Project “Application of Spike Concrete Block Pavement as Edge Constaraint” Alvin Joss Gurubot, November 2015. Panel assessor to an Undergraduate Project “Effectiveness of Block’s Spike Design for Edge Restaraint” Nurul Amalina Binti Mohammad Sani, November 2015. Panel assessor to an Undergraduate Project “Use of Plastic Waste in Bitumen Mixture” Nurul Asyiqin Binti Ahmad, November 2015. Panel assessor to an Undergraduate Project “Study the performance of Modified Asphat Mixture using Styrene Butadiene Styrene (SBS) using AC 14” Siti Nursyazana Binti Yaacop, November 2015. Panel assessor to an Undergraduate Project “Effect of Shear Resistance of the Bedding Sand on the Underside Shape Concrete Block (USCB)” Nor Syafira Bt Muzamil, June 2015. Panel assessor to an Undergraduate Project “Performance of Cold Mix Asphalt using Medium Setting Emulsion” Nor Arifah Binti Mispan, June 2015. Panel assessor to an Undergraduate Project “Effect of Air Voids Content and Soaking Time on the Performance of Porous Asphalt” Siti Noorafiffah Munirah Bt Che Mohd Rosli, June 2015. Panel assessor to an Undergraduate Project “Shear Resistance of Bedding Soil on Underside Shaped Concrete Block” Nur Ayunni Fatin B Mazlan, June 2015. Panel assessor to an Undergraduate Project “The Properties of Virgin Asphalt Blended with Waste Engine Oil and Artificial Aged Asphalt Binder” Nur Shahira Binti Samsuri, June 2015. Panel assessor to an Undergraduate Project “Left Turning Vehicles Bypassing Signalized Intersection” Diana Mutia Binti Naziruddin, June 2015. Panel assessor to an Undergraduate Project “Calibration of Automatic Traffic Counter using Video Recording” Arif Bin Mohd Arshad, June 2015. Panel assessor to an Undergraduate Project “Performance of Multiple Blended Binders on the Properties of Concrete Pavement” Tan Huan Chan, June 2015. Panel assessor to an Undergraduate Project “Comparison between Point and Segmented Flow for Two-lane Single Carriageway Road” Siti Farhana Binti Abd Ghani, June 2015. Panel assessor to an Undergraduate Project “Concrete Block Pavement without Edge Restrain” Al-Amin B Jamaluddin, June 2015. Panel assessor to an Undergraduate Project “Measuring Passenger Car Equivalent at Signalized Intersection” Nailly Izzaty Binti Mat Sidek, June 2015. Panel assessor to an Undergraduate Project “Effect of Rainfall on Speed-flow-density Relationship at Night in Terengganu” Nurul’azizah Mukhlas, June 2015. Panel assessor to an Undergraduate Project “Effect of Rainfall on Speed at Night: a case study Terengganu” Zulhilmi Abdullah, June 2015. Panel assessor to an Undergraduate Project “The Effect of EVA as Additive in the Bitumen” Fuad Fazrin Bin Jamil (920506-12-5233), December 2014. Panel assessor to an Undergraduate Project “Asphaltic Concrete Incorporating Ethylene Vinyl Acetate” Siti Aspalaili Binti Mohamd Sharif (Matric No. A11KA0174), December 2014. Panel assessor to an Undergraduate Project “Influence of Rainfall on Speed under Artificial Light Condition” Zulhlmi Bin Abdullah (Matric No. A11RS0120), December 2014. Panel assessor to an Undergraduate Project “The Relationship between the Air Void Contents and the Durability of the Porous Asphalt Pavement” Syazwani Binti Abdul Hamid, June 2014. Panel assessor to an Undergraduate Project “The Effect of Road Gradient on Travel Time” Suryani Binti Parman, June 2014. Panel assessor to an Undergraduate Project “Trend Estimation of Travel Speed at Roundabout” Lim Zi Kuan, June 2014. Panel assessor to an Undergraduate Project “Properties of Double Layer Rubberized Concrete Paving Blocks” Lee Kuan Lim, June 2014. Panel assessor to an Undergraduate Project “Effect of Different Air Voids content on the Performance of Porous Asphalt” Nurainaa Adi, June 2014. Panel assessor to an Undergraduate Project “Effect of Air Voids content on the Performance of Porous Asphalt” Noraziela Binti Rahmat, June 2014. Panel assessor to an Undergraduate Project “Vehicle Speed Downstream of the Roundabout” Chia Chin Fung, June 2014. Panel assessor to an Undergraduate Project “Skid Resistance Performance of Asphalt Wearing Course using Steel Slag” Mohamad Azhar Che Him, June 2014. Panel assessor to an Undergraduate Project “Vehicle Headway Distribution of Traffic Signal” Emir Akief Bin Ahmad Saifuddin, June 2014. Panel assessor to an Undergraduate Project “Vehicle Speed Downstream of the Traffic Signal” Lukman Khidir Bin Zainal Abidin, June 2014. Panel assessor to an Undergraduate Project “Effect of Clogging of the Permeability of Porous Asphalt” Nurul Athma Binti Mohd Shukry, June 2014. Panel assessor to an Undergraduate Project “Establishment of Suitable Gradation for Cold Mix Porous Asphalt” Lim Jee Wen, June 2013. Panel assessor to an Undergraduate Project “The Effect of Horizontal Movement on Concrete Block Pavement due to Bedding Sand Thickness and Laying Pattern” Azhar Bin Mohd Hussin, June 2013. Panel assessor to an Undergraduate Project “The Effect of Lime as Additive in the Jointing Sand for Concrete Block Pavement” Mohd. Farid Bin Abdul Rashid, June 2013. Panel assessor to an Undergraduate Project “Pavement Materials” Mohamad Firdaus Bin Shahidan, June 2013. Panel assessor to an Undergraduate Project “Pavement Materials” Mohd Haniff Bin Mohd Sani, June 2013. Panel assessor to an Undergraduate Project “Performance of Microsurfacing at Federal Route FT 001Jalan Gemas-Tampin, Section 244-245” Ammirrul Bin Mazelan, June 2013. Panel assessor to an Undergraduate Project “Research of Road Accidents at Km 4.1, Precint 11-Lebuh Sentosa, Putrajaya” Gogilans/o Murugesu, June 2013. Panel assessor to an Undergraduate Project “Study on Temperature and Strength in Flexible Pavement” Ismarizal Vin Ismail, June 2013. Panel assessor to an Undergraduate Project “Comparison of the Cold in-place Recycling using 100% Aggregate and Mixed Asphalt Concrete with Fresh Aggregates” Junaini Salleh, June 2013. Panel assessor to an Undergraduate Project “Performance and Road Maintenance at Jalan Kg. Brunei / Kg. Baru / Kg. Kut / Kg. Kut Muara, Dalat District, Mukah, Sarawak” Noor Susielawati Binti Ismail, June 2013. “Prediction of Pavment Life Using Influence Function and Peak Influence Function”, International Conference on Construction and Building Engineering (ICONBUILD 2017), Paper ID: GSC 021, July 2017. “Simplified Method to Predict Compaction Curves and Characteristics of Soils” Iranian Journal of Science and Technology, Transactions of Civil Engineering”, Manuscript Number:ISTC-D-16-00297, January 2017. “Modelling Bus Dwell Time at Key Stop: A Case Study In Kuala Lumpur” International Symposium of Civil and Environmental Engineering (ISCEE 2016). “Applying Decision making with Analytic Hierarchy Process (AHP) for Maintenance Strategy selection of Flexible Pavement” Journal of Traffic and Transportation Engineering, JTTE_2016_139, August 2016. “A study of the fractionation and evaluation the physical properties of bitumen obtained from Agbabu and Loda in Ilaje Area of Ondo State, Nigeria” Global Journal of Earth and Environmental Science, August 2016. “Development of an Improved Open Graded Premix Carpet for Single Laying by Cold Mix Design” Journal of Traffic and Transportation Engineering, Ref: JTTE_2016_93, May 2016. “Physical Properties and Storage Stability of Geopolymer Modified Asphalt Binder” (ID 16), 10th International Conference on Geotechnical and Transportation Engineering (GEOTROPIKA 2016), for publication in ‘Jurnal Teknologi’, January 2016, Ref. UTM.J 22/19.11./1/29/13/ ( ). “Rheological Properties of Styrene-Butadiene-Rubber as Modified Bitumen” (ID N3), 10th International Conference on Geotechnical and Transportation Engineering (GEOTROPIKA 2016), for publication in ‘Jurnal Teknologi’, January 2016, Ref. UTM.J 22/19.11./1/29/13/ ( ). “Recycling Toward Sustainable Pavement Development:End-of-Life Considerations in Asphalt Pavement” (ID 90), 10th International Conference on Geotechnical and Transportation Engineering (GEOTROPIKA 2016), for publication in ‘Jurnal Teknologi’, January 2016, Ref. UTM.J 22/19.11./1/29/13/ ( ). “Performance of Stone Mastic Asphalt Mix Using Selected Fibres” (ID:19), 10th International Conference on Geotechnical and Transportation Engineering (GEOTROPIKA 2016), for publication in ‘Jurnal Teknologi’, January 2016, Ref. UTM.J 22/19.11./1/29/13/ ( ). “Laboratory Evaluation of Anti-Stripping Additives on Porous Asphalt Mixtures” (ID: 23), 10th International Conference on Geotechnical and Transportation Engineering (GEOTROPIKA 2016), for publication in ‘Jurnal Teknologi’, January 2016, Ref. UTM.J 22/19.11./1/29/13/ ( ). “Microstructure of Nanosilica Modified Asphalt Binder by Atomic Force Microscopy” (ID: 44), 10th International Conference on Geotechnical and Transportation Engineering (GEOTROPIKA 2016), for publication in ‘Jurnal Teknologi’, January 2016, Ref. UTM.J 22/19.11./1/29/13/ ( ). “Investigation on Ruting Performance of Nanocomposite Polymer Modified Binder Asphalt Mixes” (ID: 79), 10th International Conference on Geotechnical and Transportation Engineering (GEOTROPIKA 2016), for publication in ‘Jurnal Teknologi’, January 2016, Ref. UTM.J 22/19.11./1/29/13/ ( ). Ms. Ref. No. : HAZMAT-D-15-02730, Title: “Multidisciplinary Approach to the Environmental Impact of Steel Slag Reused in Road Construction” Journal of Hazardous Materials (Q1), August 2015. Difference In Behavior Of Right-Turning Vehicles And Their Effect On Safety At Unsignalized Intersections In Malaysia, for Jurnal Teknologi Special Issue (Transportation Behaviour & Human Factors), July 2015. Strength of Porous Concrete Pavement at Different Curing Methods, for Jurnal Teknologi Special Issue (Transportation Behaviour & Human Factors), July 2015. Mohd Ibrahim Mohd Yusaka, Ramadhansyah Putra Jayaa*, Mohd Rosli Hainina, Mohd Haziman Wan Ibrahim. Laboratory Evaluation On The Effect Of Clogging On Permeability Of Porous Asphalt Mixtures, for Jurnal Teknologi Special Issue (Transportation Behaviour & Human Factors), July 2015. Norhidayah Abdul Hassan*, Nor Asniza Mohamed Abdullah, Nurul Athma Mohd Shukry, Mohd Zul Hanif Mahmud, Nur Zurairahetty Mohd Yunus, Ramadhansyah Putrajaya, Mohd Rosli Hainin, Haryati Yaacob. Sub-reviewer of conference papers of 8th Innovation, Arabia Conference in the Hamdan Bin Mohammed Smart University, United Arab Emirates (UAE), Paper #136, “Green Economy – Carbon Dioxide: From Pollution to Solution” of Prof Adi Arida 2014-2015. Reviewer of article “The effect of Aggregate’s Angularity on Engineering Properties and Performance of Porous Asphalt”, Jurnal Teknologi-Special Edition (Highway and Transportation Engineering) on October 2014. Reviewer of article “A Review on The Warm Mix Asphalt Technology”, Jurnal Teknologi-Special Edition (Highway and Transportation Engineering) on July 2014. Reviewer of article “Properties of asphaltic concrete containing Sasobit”, Jurnal Teknologi-Special Edition (Highway and Transportation Engineering), on July 2014. Reviewer of article “Effect of jointing sand sizes and widths on horizontal displacement of concrete block pavement”, Jurnal Teknologi-Special Edition (Highway and Transportation Engineering) on July 2014.
Review of paper #1569987135, “Pavement assessment of Farm Roads in Bhutan” of International Civil and Infrastructure Engineering Conference (InCIEC), July 2014. Reviewer of article “Sustainability in Construction Projects Toward the Final Account Closing Success” from Geocon 2013 conference in special issue of Journal technology, on June 2014 (CRC-Geocon 2014). Reviewer of article “Investigation on Future Building Performance Factors Towards Energy Efficient Travel Plan in Regional Development” from Geocon 2013 conference in special issue of Journal technology, on June 2014 (CRC-Geocon 2014). Reviewer of article “Open Plan Office Design Features Affecting Staff’s Health And Well-Being Status” from Geocon 2013 conference in special issue of Journal technology, on June 2014 (CRC-Geocon 2014). Reviewer of article “Mix design and properties evaluation of dry mixed rubberized asphalt” of Special Edition of (Sustainable issues on Transportation Engineering) Journal technology, on May 2013. Reviewer of article “Occupational noise exposure among road construction workers” from Geocon 2013 conference, on August 2013 (CRC-Geocon 2013). Member of Editorial Board Jurnal Teknologi-Highway and Transportation Engineering, Vol 78, No 7-2, Published on 27 July 2016. Member of Editorial Board Jurnal Teknologi-Highway and Transportation Engineering, Vol 78, No 7-3, Published on 27 July 2016. Member of Editorial Board Committee for the International Symposium of Civil and Environmental Engineering,- (ISCEE 2016), which will be held in December 2016, Malacca, Malaysia. Member of Editorial Board Jurnal Teknologi – Special Issue (Highway and Transportation Engineering, Ref of appointment letter: UTM.J.12.01.00/18.10/17Jld.3 dated 29 March 2016. Member of Editorial Board Jurnal Teknologi – Special Edition (Highway and Transportation Engineering, Ref of appointment letter: UTM.J.12.01.00/18.10/17/5 s.k 40(5), dated 21 May 2014. Appointment as a Reviewer Jurnal Teknologi – Special Issue (Sustainability and construction management), dated 4 November 2014. Special Presentation on Bio-Asphalt “Development of Non-Traditional Binder for Roads and Highways” to Deputy Minister of MOSTI (Ministry of Science, Technology and Innovation) Y.B. Datuk Dr. Abu Bakr bin Mohamad Diah on 22nd April 2014 at UTM, Johor Bahru. Md Maniruzzaman A. Aziz*, Khairul Anuar Bin Kassim, R. Saidur, Nurul Hidayah Muslim, “Feasibility of Carbon Capture and Storage Technology in the Construction Industry” Paper ID J.09.08.01/19.10 (20), Conference on Emerging Energy and Process Technology (CONCEPT 2016), will be held on 07 – 08 December, 2016, Ancasa Residences, Port Dickson, Malaysia. Farahiyah Abdul Rahman, Md Maniruzzaman A. Aziz*, R. Saidur, Wan Azelee Wan Abu Bakar, M R Hainin, Ramadhansyah Putrajaya, “Carbon Dioxide (CO2) Reduction in Industrial Sector: A Review on its Method and Challenge” Paper ID UTM.J.09.08.01/19.10 (18), Conference on Emerging Energy and Process Technology (CONCEPT 2016), will be held on 07 – 08 December, 2016, Ancasa Residences, Port Dickson, Malaysia. Distress – A Case Study” at 4th International Conference on Engineering Business Management (ICEBM 2015) held on 22-23 August 2015 (Maya Hotel, Kuala Lumpur) jointly organized by UTM Razak School of Engineering and Advance Technology and Graduate School of Business Administration (GSBA) Meiji University, Tokyo, Japan. Naqiuddin M. Warid*1,a, Mohd Rosli Hainin1,b, Haryati Yaacob1,c, Md. Maniruzzaman B. A. Aziz1,d, Mohd Khairul Idham1,e, “Thin Cold Mix Asphalt Overlay”, 1st International Conference on the Science & Engineering of Materials (ICoSEM 2013), 13-14 Nov. 2013, Kuala Lumpur, Malaysia. World Engineering Congress (WEC 2010), An overview of determination of asphalt properties using microwave techniques, Sarawak, 2-5, August, 2010. Managed and attended a one day workshop on “High Impact Journal Publication” by world renowned researcher/Professor Dr. Saidur rahman in the Faculty of Civil Engineering on 12 September 2017, UTM, JB, Malaysia, as a head of “PUBLICATION AS A TOOL TO CULTURE KNOWLEDGE”. Attended a one day workshop on ‘Remote Supervision’ on 07 September 2017, organized by UTM Lead at Pusat Lathihan (UTM Training Centre), by Prof. Dato’ Emeritus Ir. Dr. Zainai bin MohamedUTM, Johor Bahru, Johor, Malaysia. Attended a one day workshop on course on assessment & CQ1, on 25 May 2017, organized by UTM Lead at Workshop, UTMLead, UTM, Johor Bahru, Johor, Malaysia. Attended a 2 (two) days course on Proposal Writing Workshop, Joint Research Group PRG & TRG, FKA on 3 and 4 May 2017at Pulai Spring, Johor Bahru, Johor. Attended a two (2) days workshop on “Kursus Pengurusan Penyelidikan” held on 05-06 October 2016, Anjuran Pusat Pengurusan Penyelidikan (RMC), Universiti Teknologi Malaysia at CICT, Level 4, Seminer room. Attended a three (3) days workshop on “Kursus Pavement Forensic Investigation” held on 6-8 October 2015 in the Faculty of Civil Engineering with 28 staff from the Jabatan Kerja Raya (JKR), PWD Malaysia. Attended a Supervisory Orientation Course (AS 101), organized by UTM Academic Leasership (UTMLead) on 3rd September 2015. Attending 4th International Conference on Engineering Business Management (ICEBM 2015) held on 22-23 August 2015 (Maya Hotel, Kuala Lumpur) jointly organized by UTM Razak School of Engineering and Advance Technology and Graduate School of Business Administration (GSBA) Meiji University, Tokyo, Japan. Training on Malaysian Highway Index (MyGHI) from 5 to 6 May 2015, Malaysian highway Authority (LLM) at Johor Bahru, Johor, Malaysia. Attending International Integrated Engineering Summit 2014 (IIES2014), Universiti Tun Hussein Onn Malaysia (UTHM), 86400 Parit Raja, Batu Pahat, Johor on 3-4 December 2014. Training on Malaysian Highway Index (MyGHI) on 16 October 2014, Malaysian highway Authority (MHA), Kajang, Selangor, Malaysia. UTM-CRA Strategic Planning a two day Workshop from 29 -30 September 2014, Pulai Springs Resort, Johor Bahru, Johor. UTM Construction Research Centre (UTM CRC), 28 May 2014, Seminar Room, Blok M50, Faculty of Civil Engineering (FKA), UTM, Johor Bahru. “Green Highway Index Malaysia” a joint workshop, organized by UTM-LLM meeting Hotel Colmar Tropical Berjaya Hills, KM 48, Persimpangan Bertingkat, Lebuhraya Karak, 28750 Bukit Tinggi, Pahang, Malaysia, from 9 to 10 December 2013. ICoSEM 2013, 1st International Conference on the Science & Engineering of Materials, 13-14 Nov. 2013, Kuala Lumpur, Malaysia. BIS-Invention, innovations & public relations, University Putra Malaysia, (UPM), 17 April, 2009, Participant. Education symposium, “Innovations in measurement”, Agilent Technologies & MIMOS, Kuala Lumpur, MIMOS, 26 March, 2009, Participant. Managing references effectively and professionally, University Putra Malaysia, Malaysia, 15 June, 2008, Participant. International seminar on Stone Mastic Asphalt (SMA), REAM, Malaysia, 13 March, 2008, Participant. Basic academic writing, University Putra Malaysia, Malaysia, 19-30 June, 2006, Participant. Short course on “Geosynthesis in transportation application”, University Putra Malaysia, Malaysia, 18 May, 2005, Participant, Talked by Professor Richard A. Reid, PhD , PE, Professor, Civil and Environmental Engineering, South Dakota State University, USA. Short course on “Geotechnical aspects of subgrade material in road construction”, University Putra Malaysia, Malaysia, 16 July, 2004, Participant, Talked by Professor Vern Schaefer, Iowa State University, USA. Potential of earthquake risks in Malaysia and its mitigation using rubber bearing, Institute of Engineers, Malaysia, IKRAM Park, 17 May, 2005, Participant. Specifications for Geotechnical Works, Institute of Engineers, Malaysia, IEM-REAM, 1 Dec. 2005, Participant. Auditing the contractor’s quality system, Quality Strategies Consult Sdn. Bhd, Malaysia, Kuala Lumpur, 21-22 July, 1999, Participant. Farm roads and Bridges – Aggregate surfaced roads, DID Manual 5, Chapter 7, Ministry of Agriculture, (MoA), Malaysia, 2009. Seismic study for Malaysia, IKRAM-JKR-Endeavour Consult Sdn. Bhd, JKR-IKRAM Malaysia, 2005. Investigation of failure the 12.5m high embankment, ERL bridge of Jalan B20 (Bukit Changgang to Salak Tinggi, Nilai), JKR (PWD), KL- HQ, Malaysia, 2002. Report of Settlement on Geotextile Pile Embankments by Instrumentation (Slope Indicator), Package 1A, Jalan B 20, (Bukit Changgang to Salak Tinggi, Nilai), JKR, KL- HQ, Malaysia, 2002.
b. Pro-plan Management Services Sdn. Bhd. g. Imej Abadi Sdn. Bhd. j. A & A Enterprise and The C. E.
l. Eastern Boring & Construction Co. Ltd.
Office Address Faculty of Civil Engineering, Universiti Teknologi Malaysia (UTM), 81310 UTM Johor Bahru, Johor, Malaysia. Dr Saidur Rahman. (Ex. Chair Professor of King Fahd University), Faculty of Science and Technology, Sunway University, No. 5, Jalan Universiti, Bandar Sunway, 47500, Petaling Jaya, Malaysia. H/P: +6016-9472017, E-mail: saidur912@yahoo.com. M. Saiful Islam, M.ASCE, IET, ACI, SEI, IEB, ISSMGE,CI Post-Doc (UM), PhD (UM), MSc. Engg. (BUET), BSc. Engg. (BUET), Structural Engineering, Department of Construction Engineering, College of Engineering, University of Dammam, Office: Building no-500. Phone: 00966 59 627 8931, E-mail: asislam@uod.edu.sa. Arifuzzaman, Assistant professor, Department of Civil Engineering, University of Bahrain, Bahrain. E-mail:arafiquzzaman@uob.edu.bh, Telephone: 0097335646402.